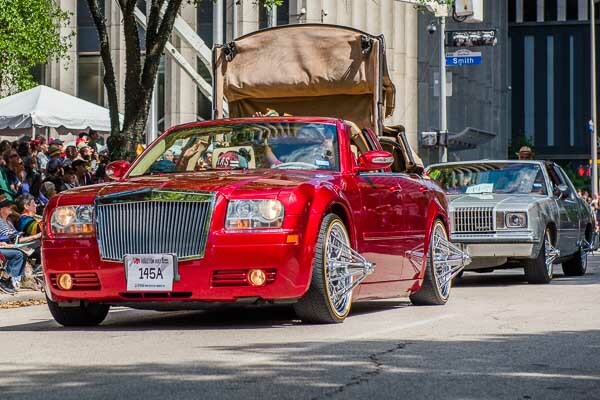 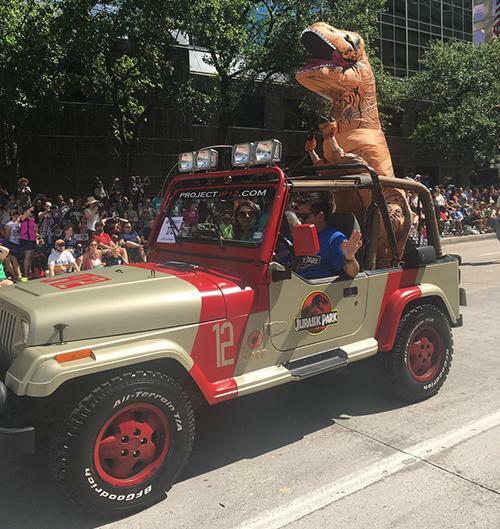 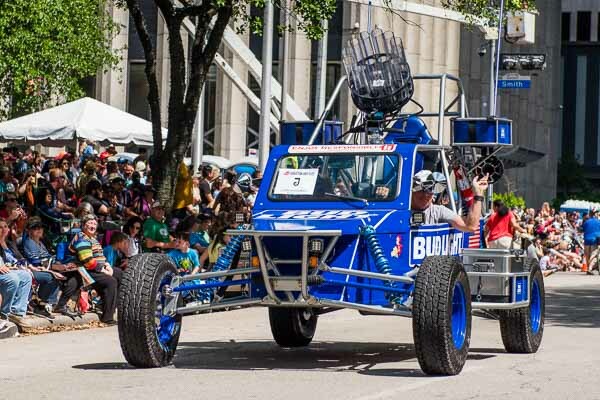 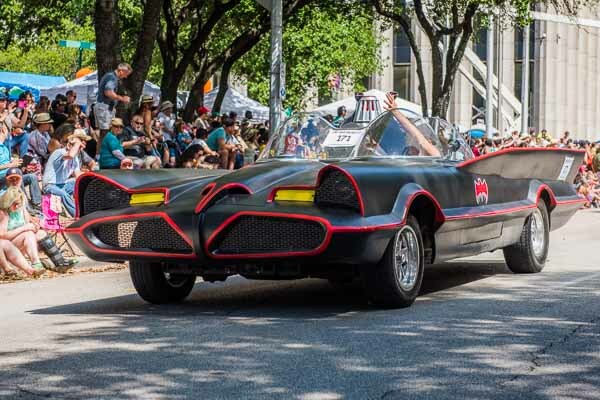 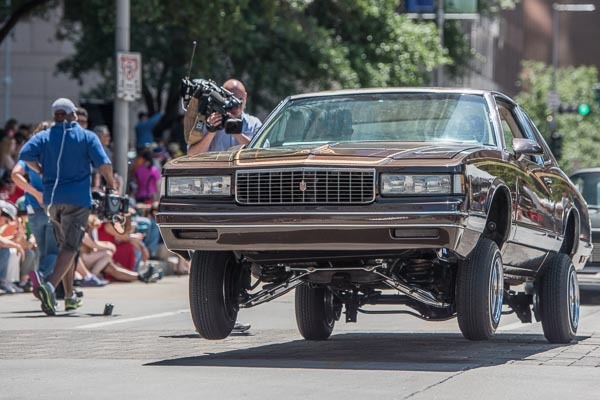 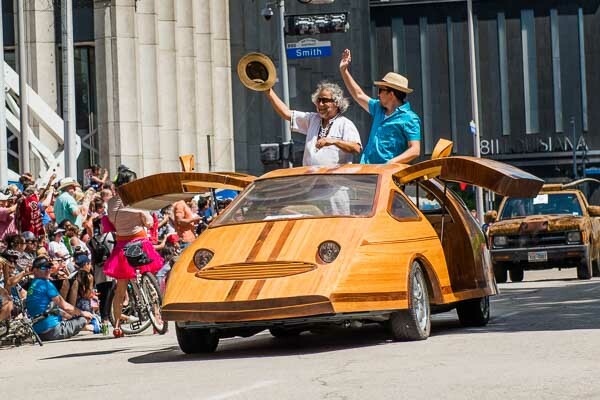 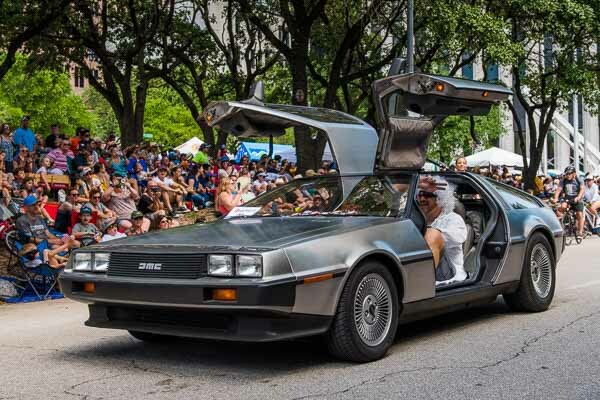 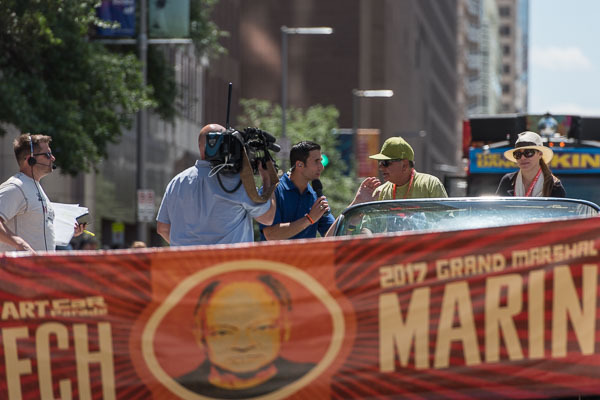 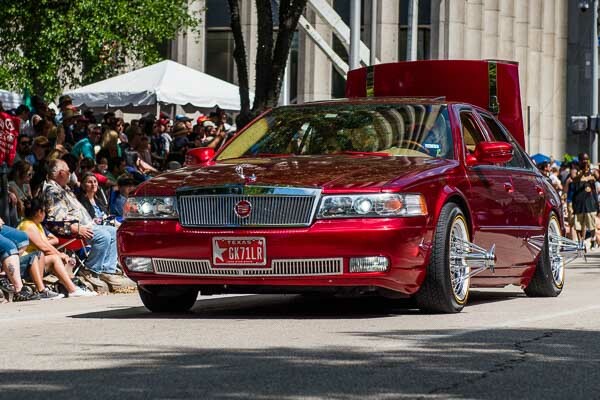 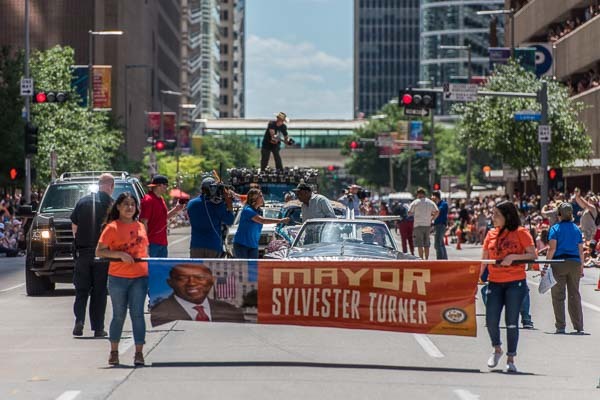 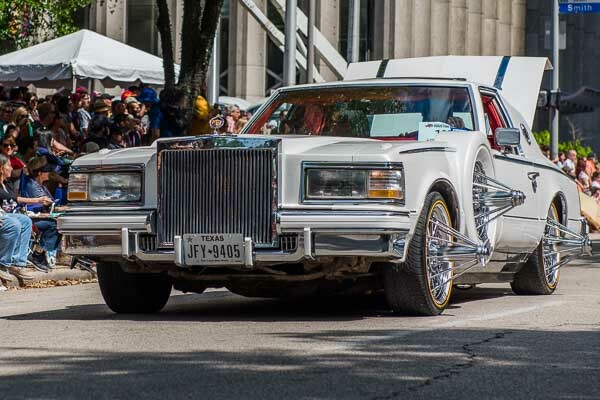 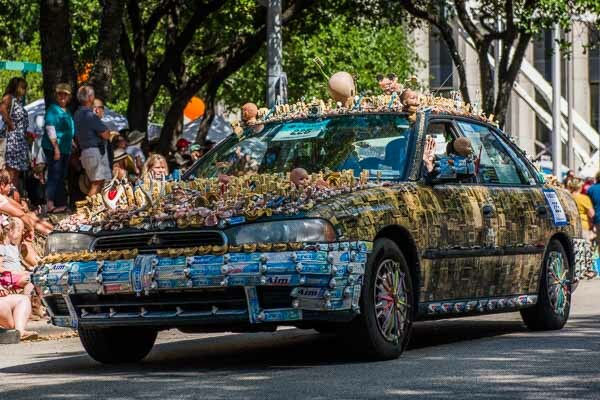 HOUSTON, Texas (KTRK) -- More than 250 mind-blowing cars rolled through downtown Houston on Saturday morning. 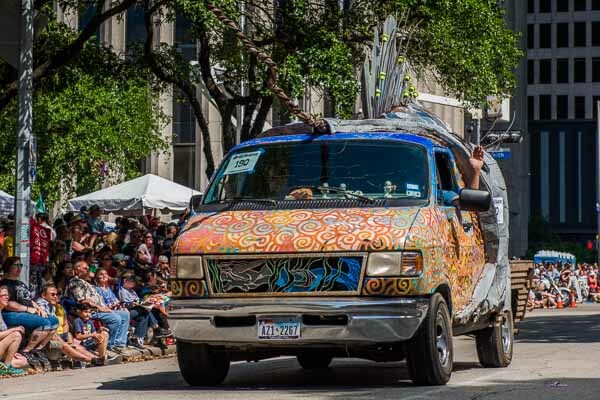 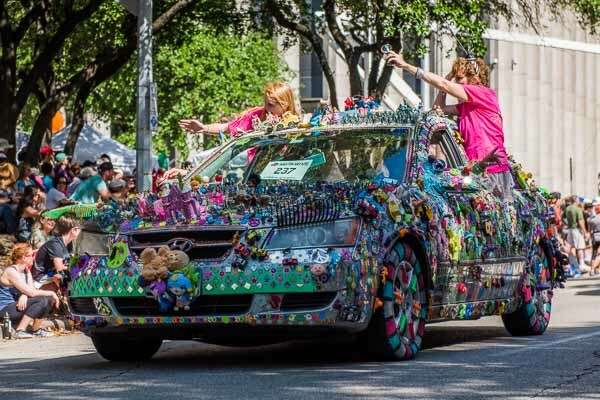 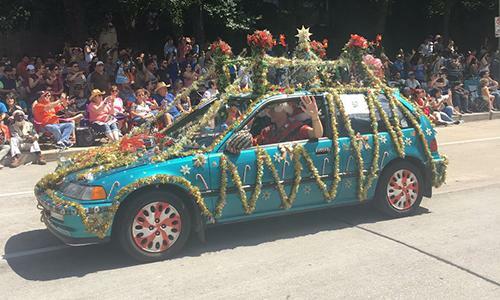 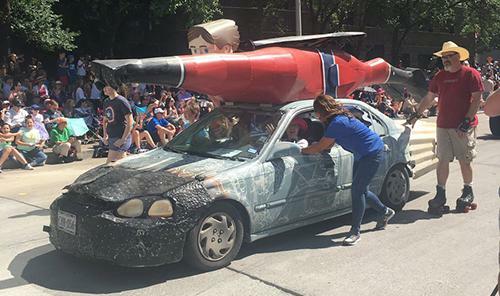 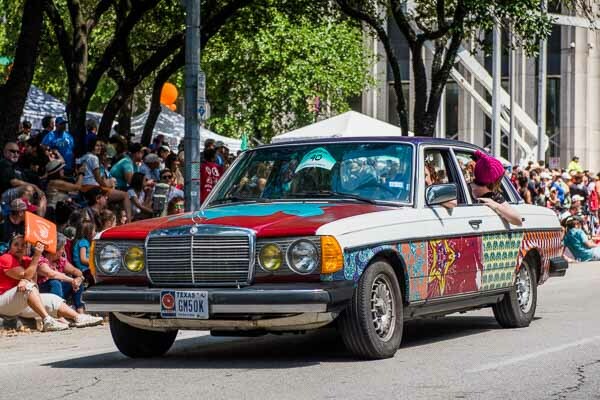 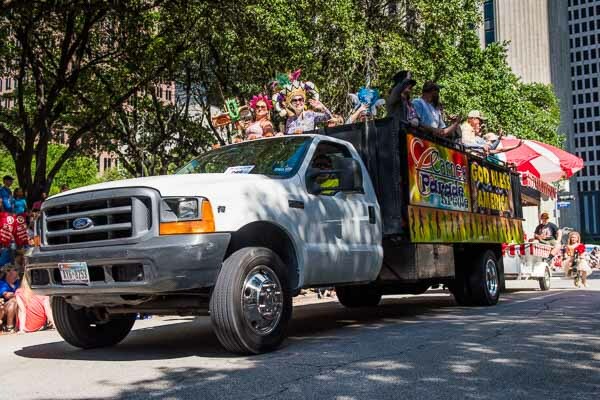 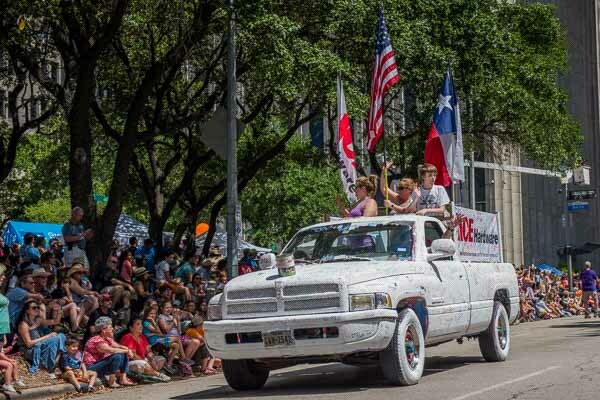 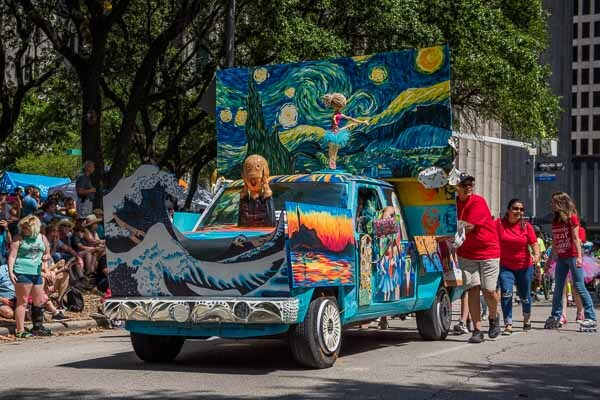 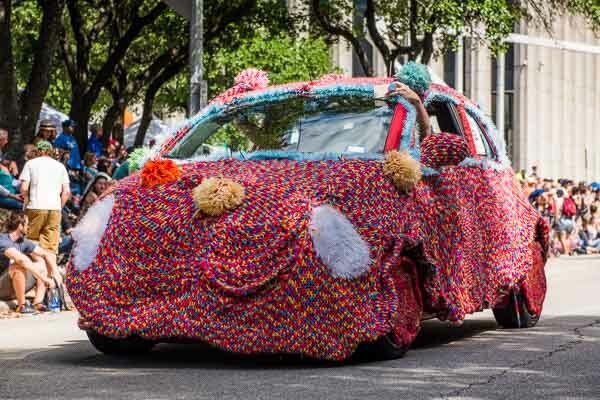 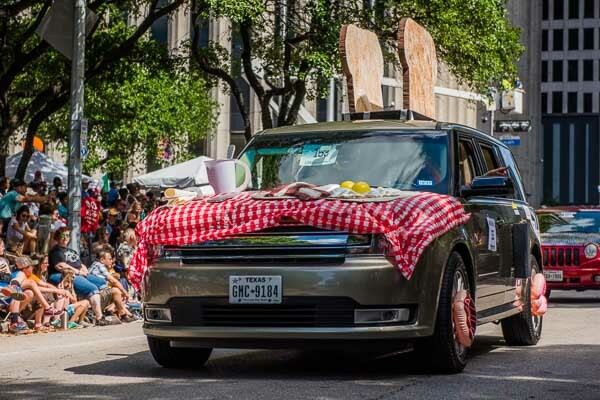 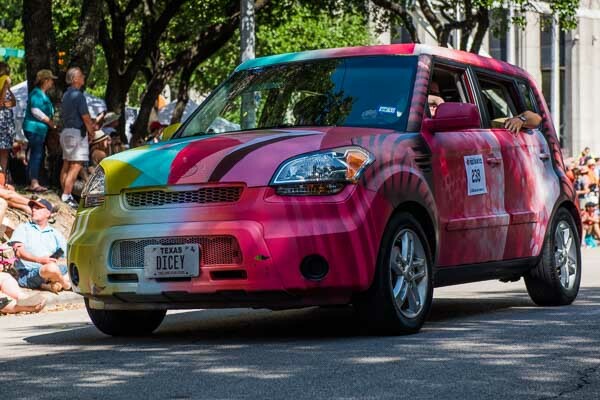 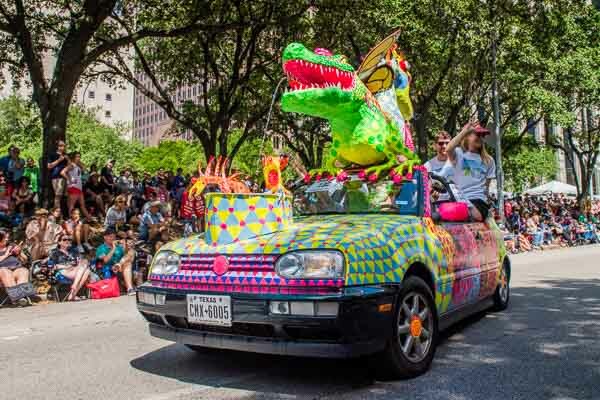 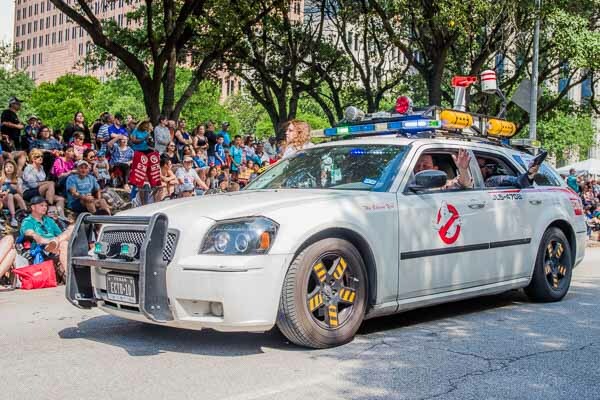 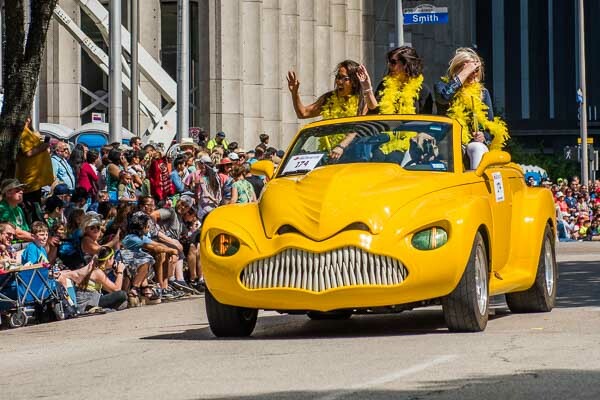 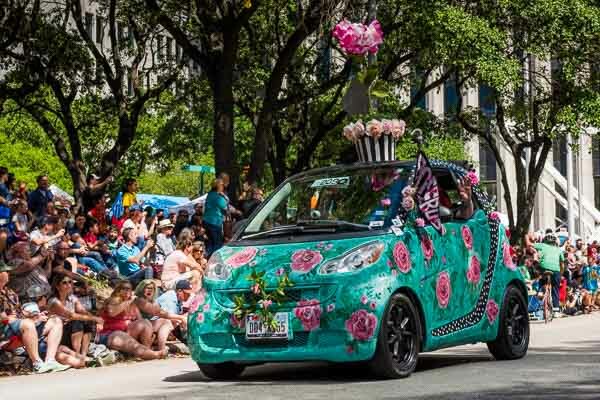 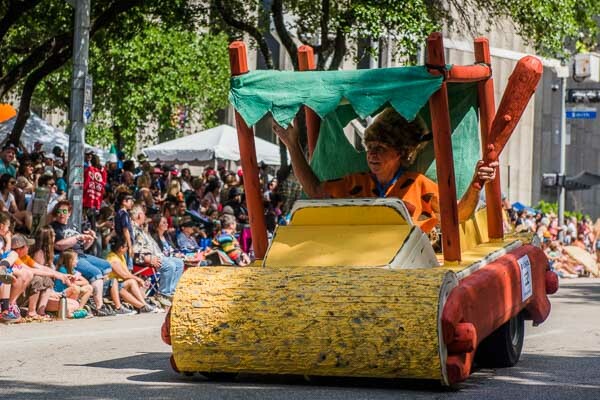 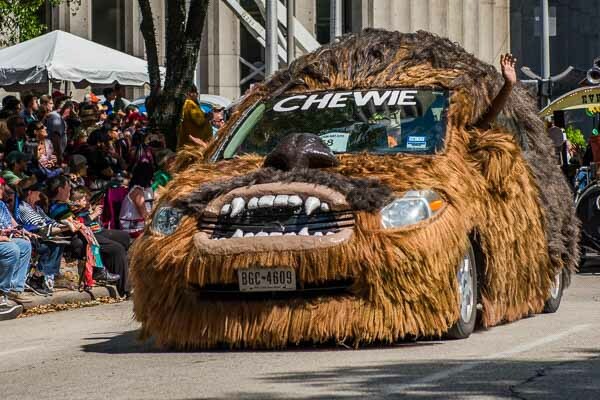 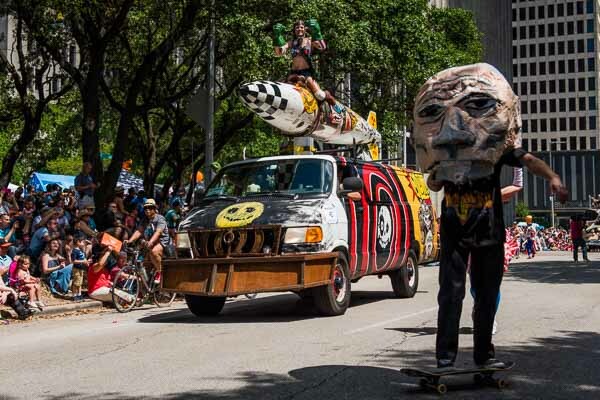 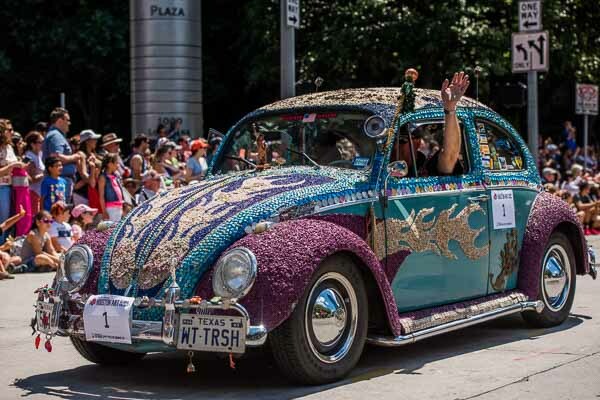 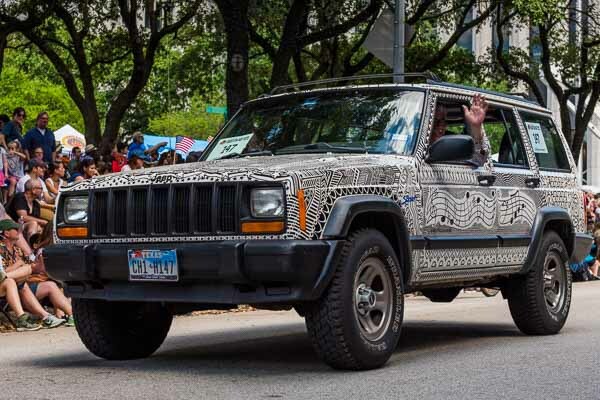 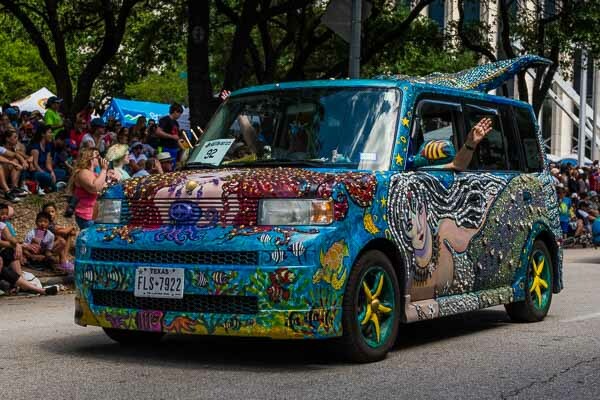 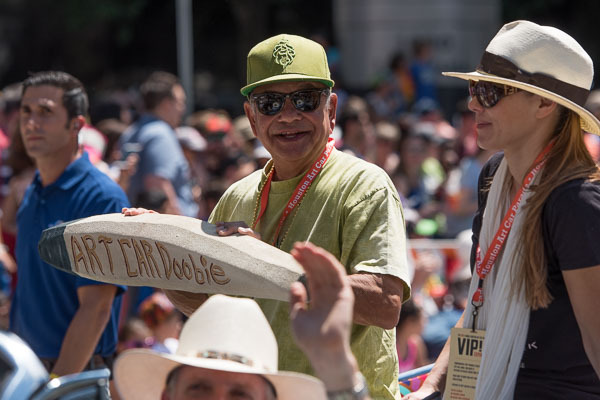 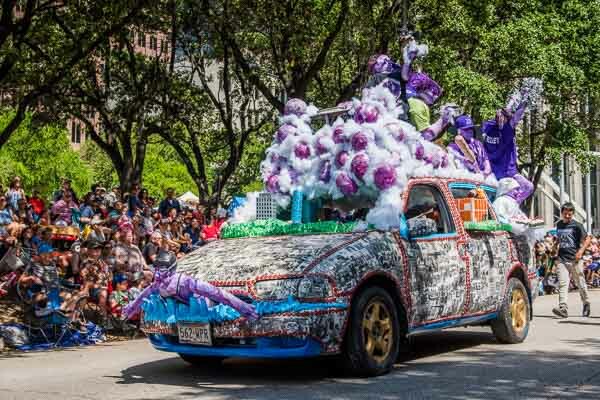 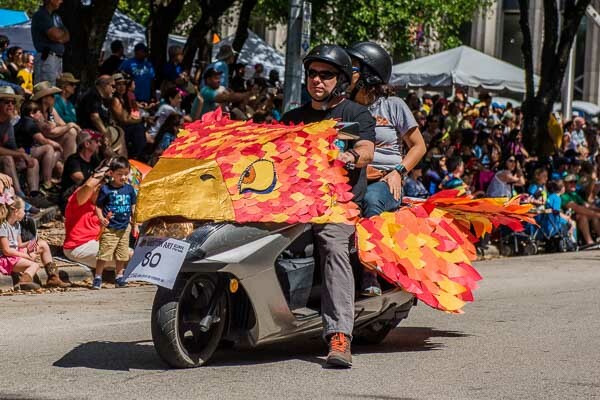 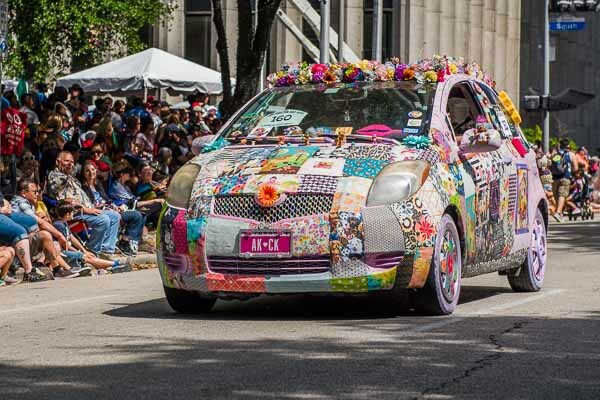 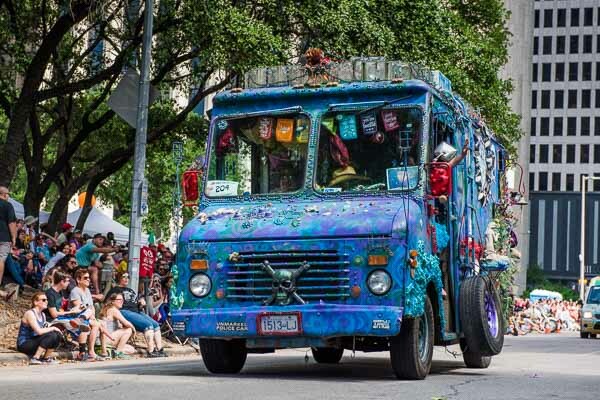 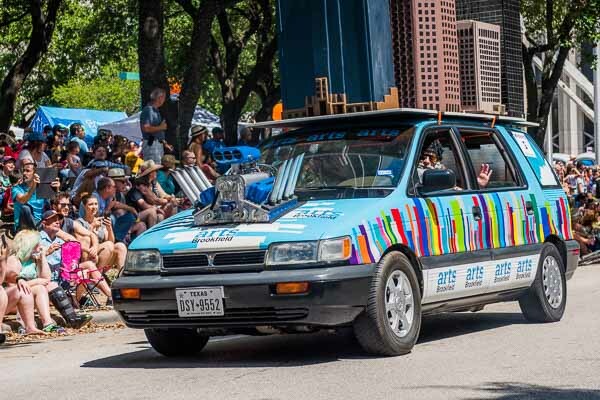 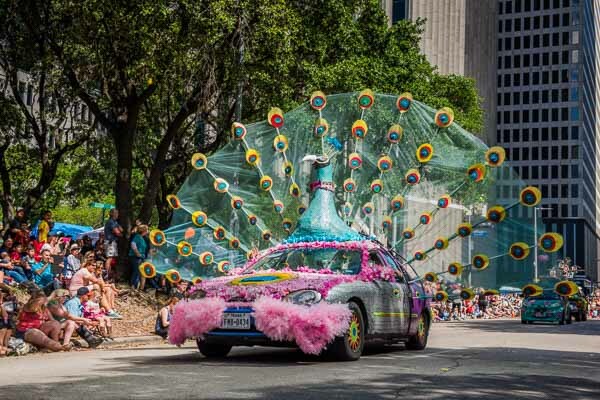 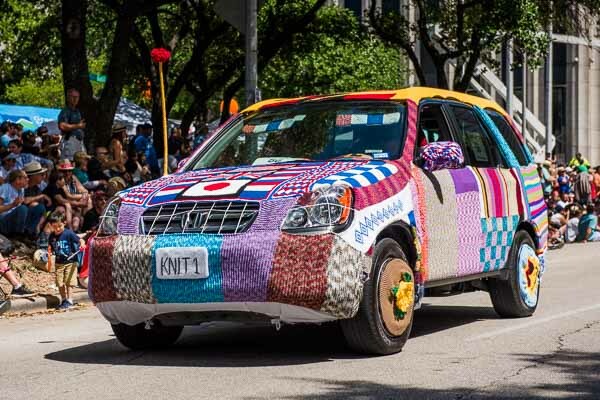 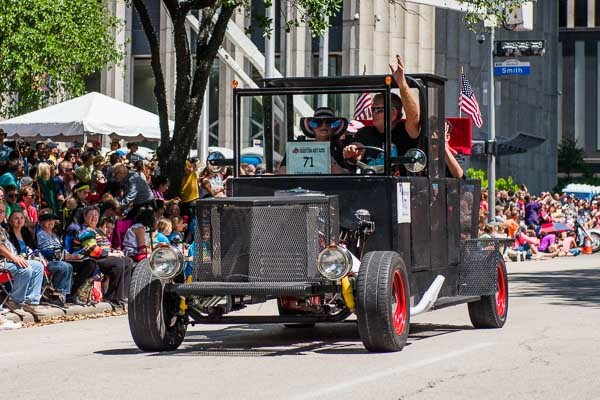 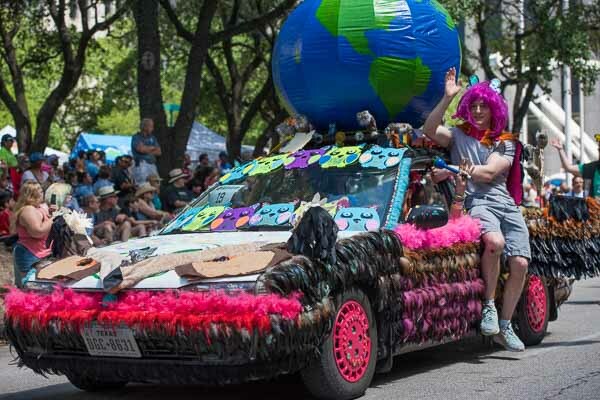 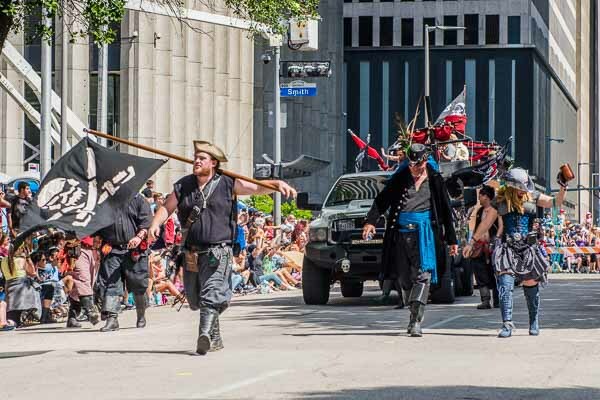 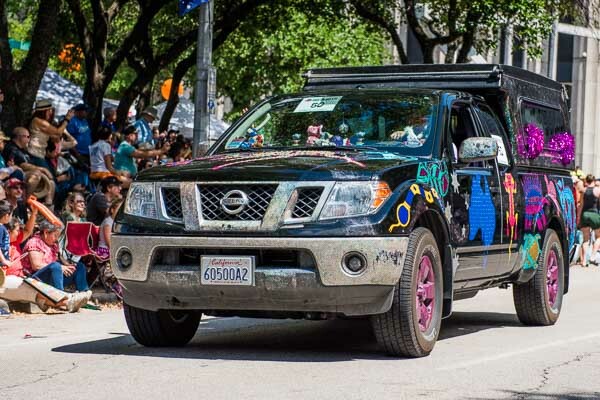 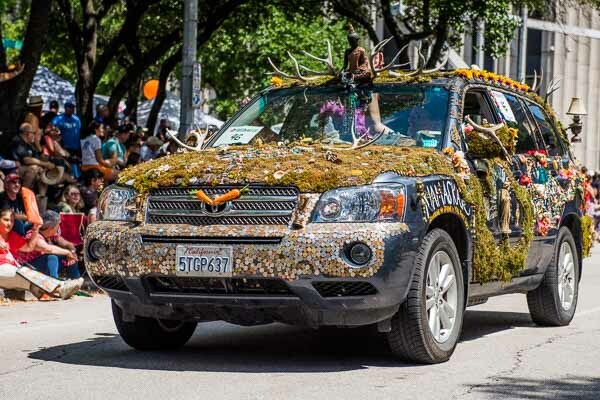 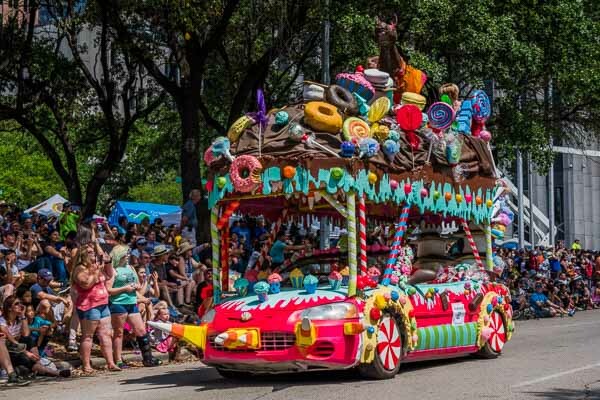 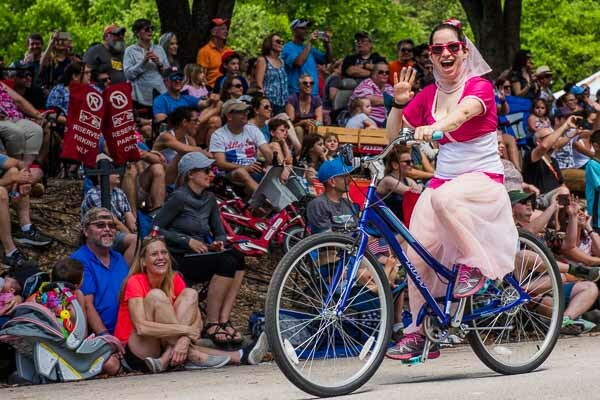 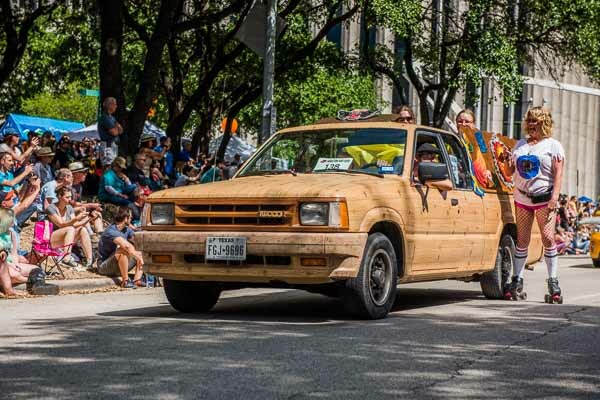 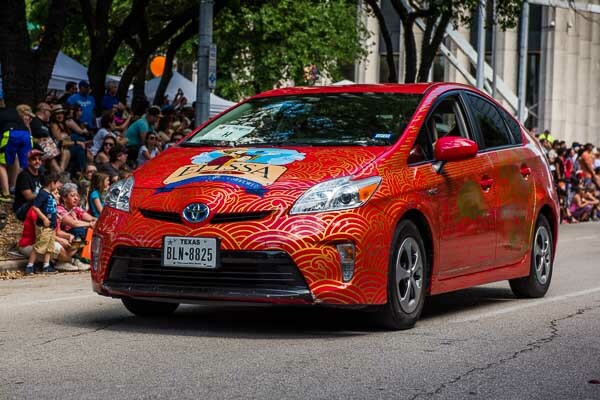 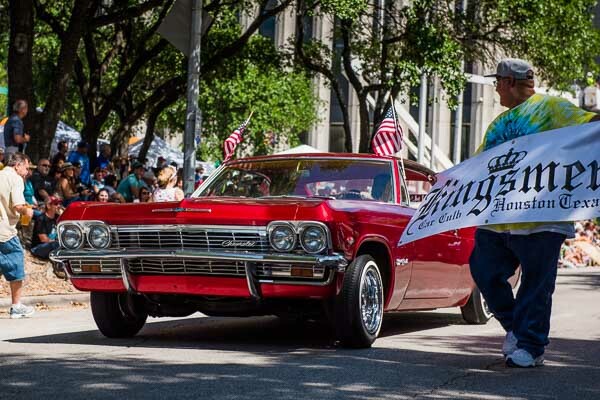 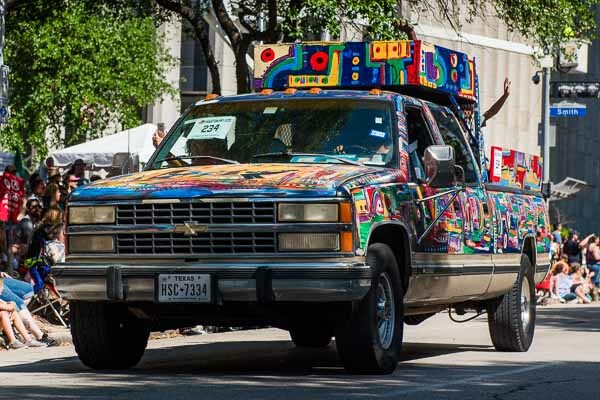 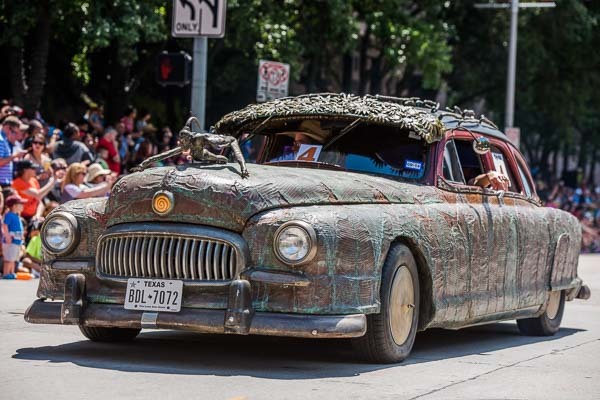 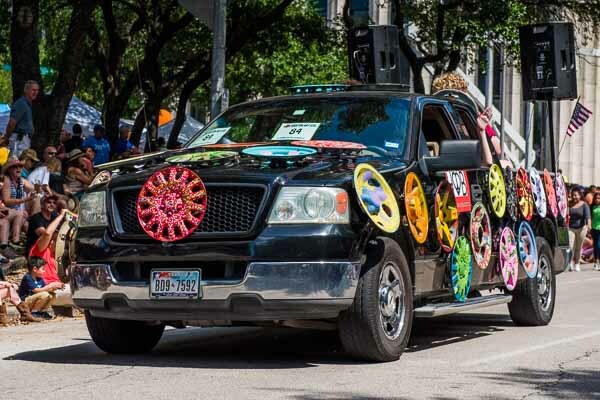 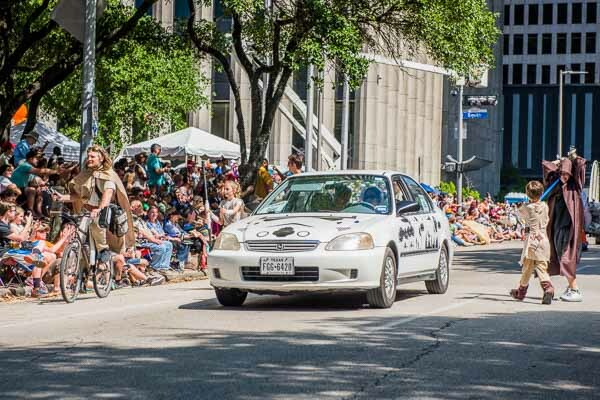 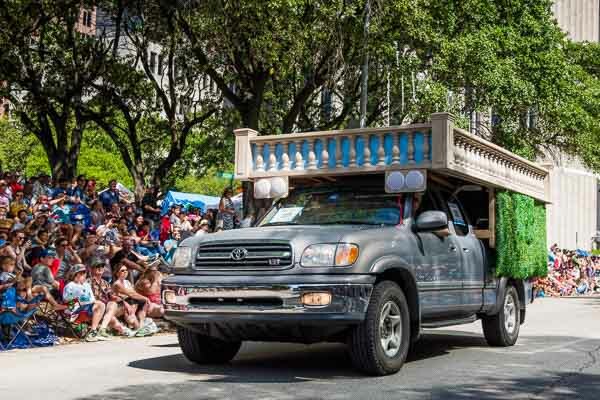 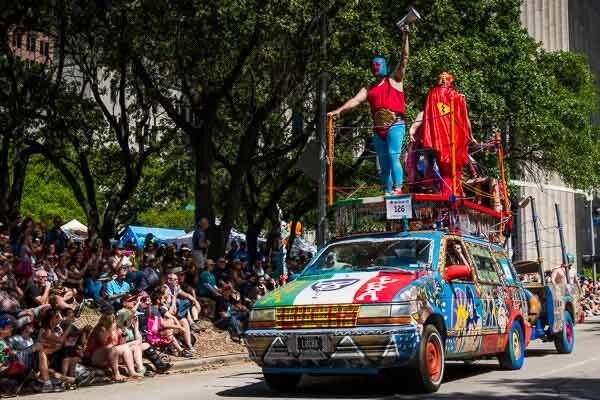 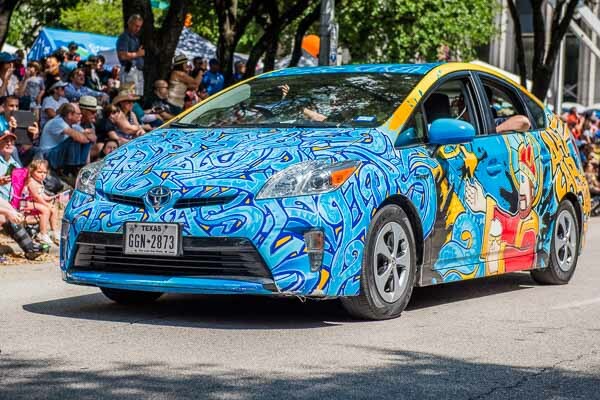 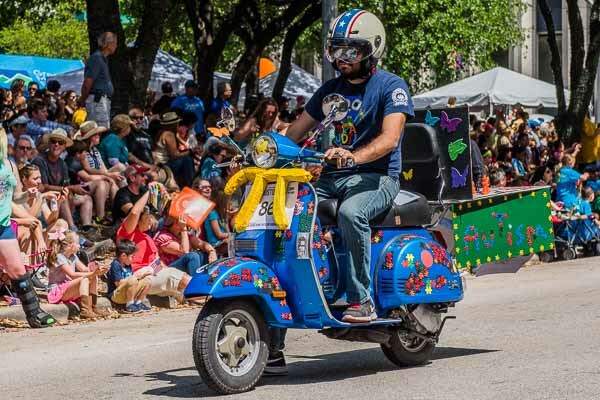 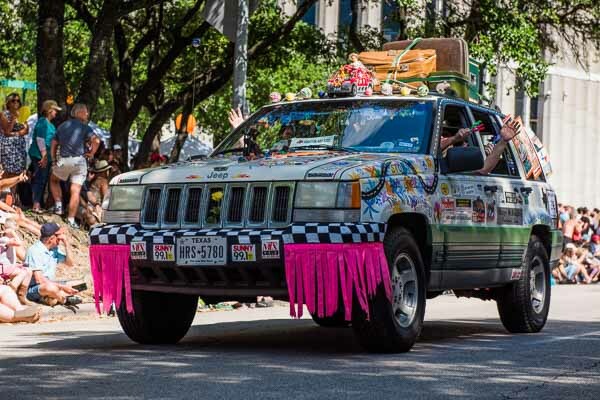 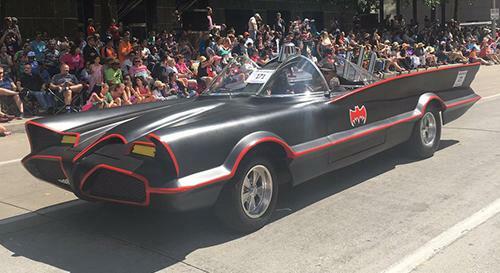 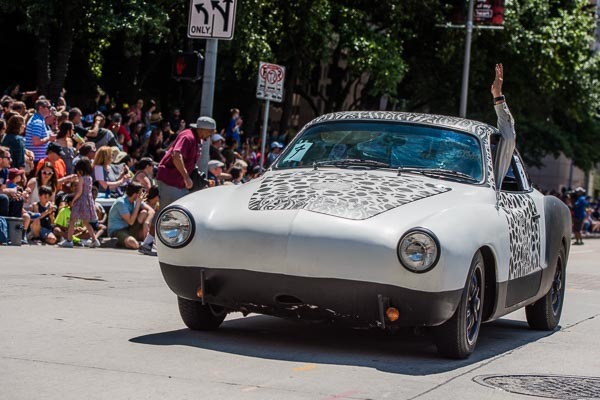 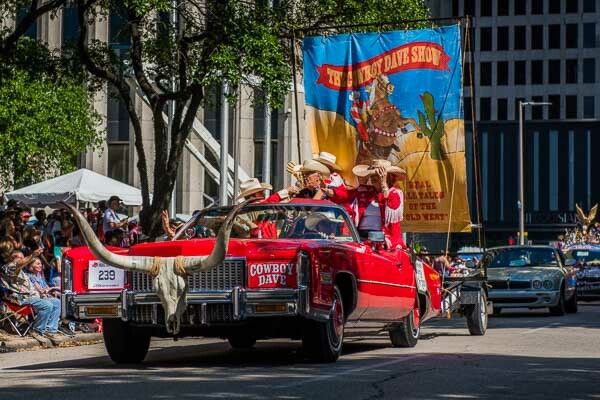 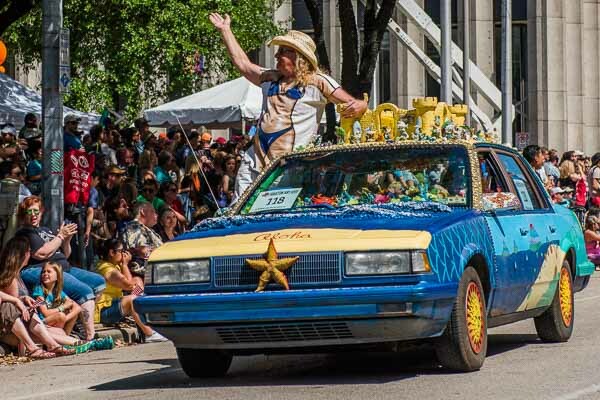 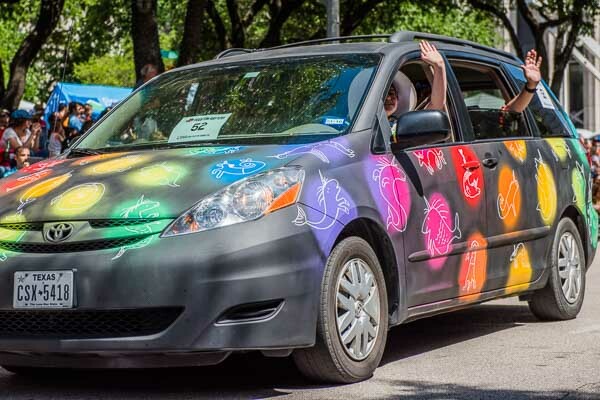 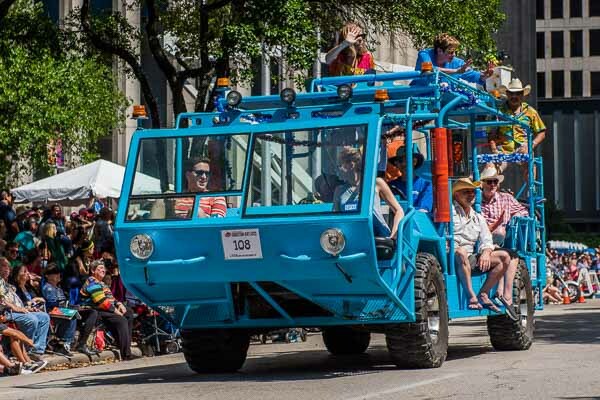 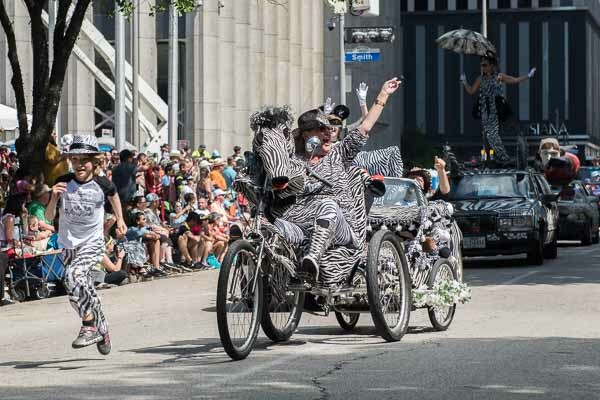 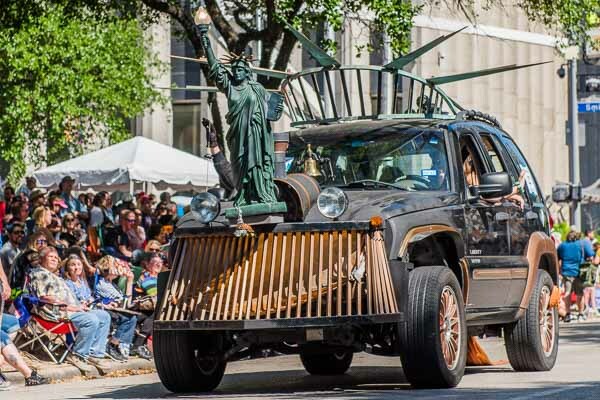 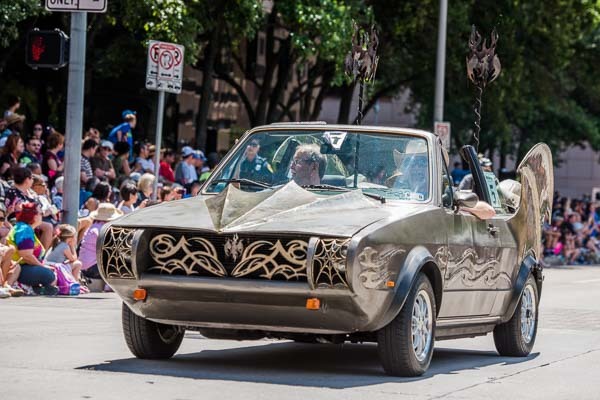 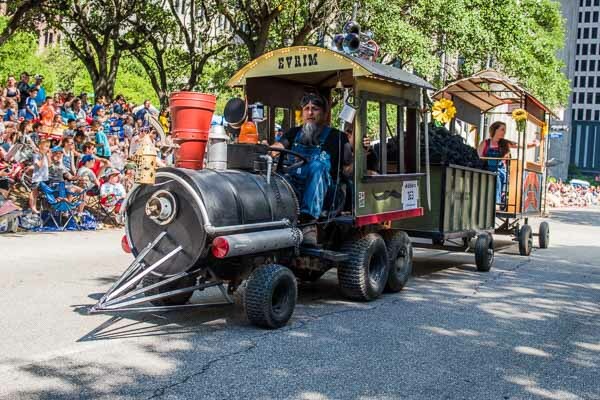 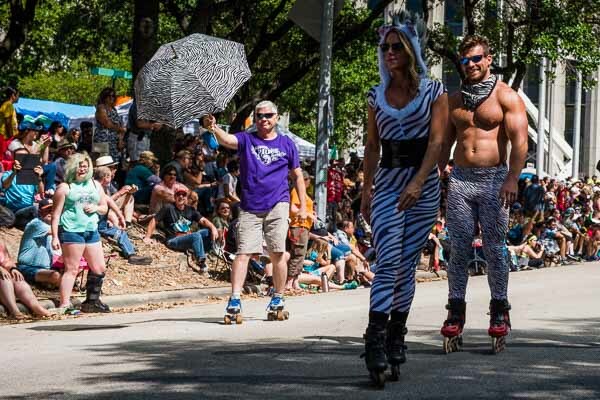 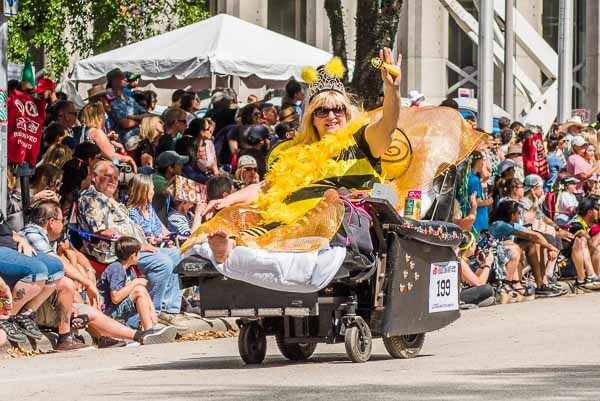 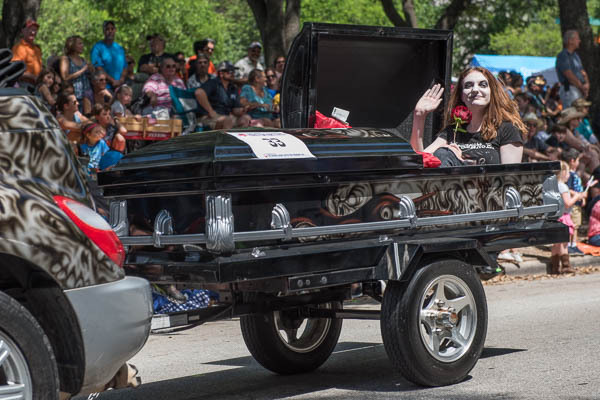 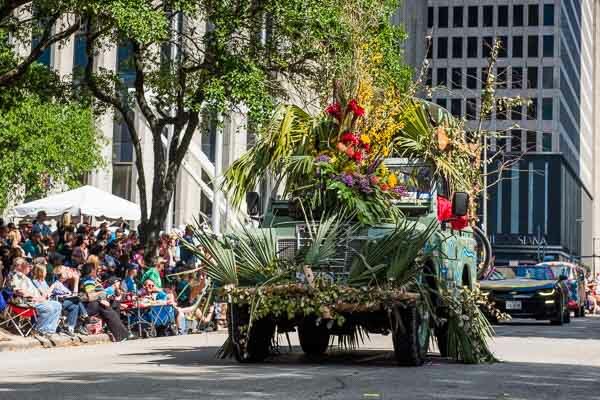 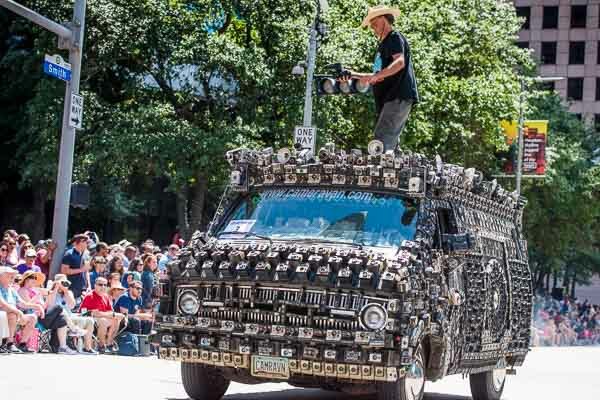 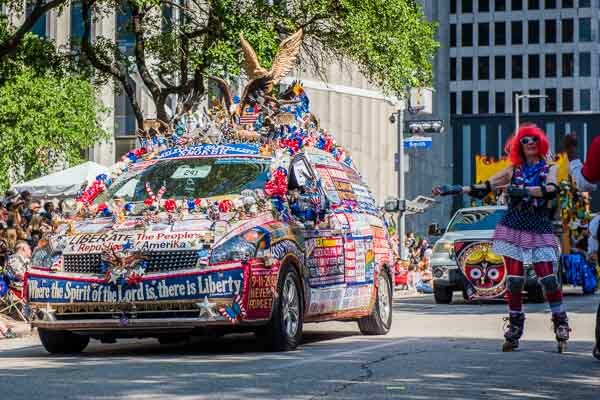 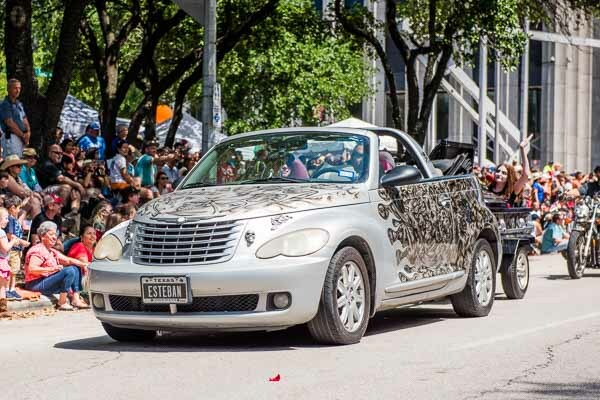 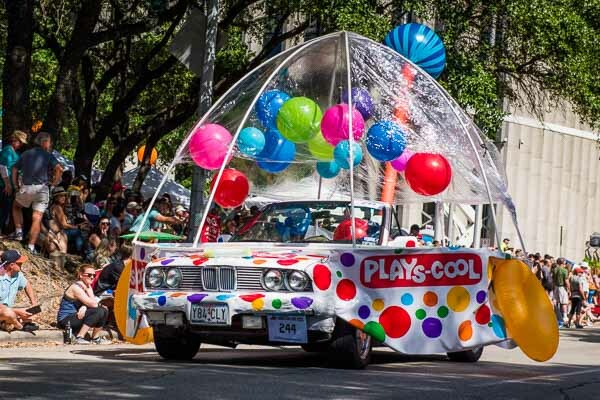 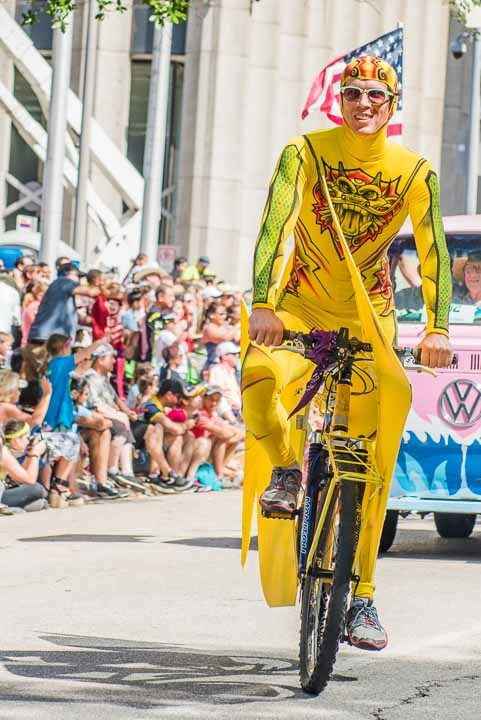 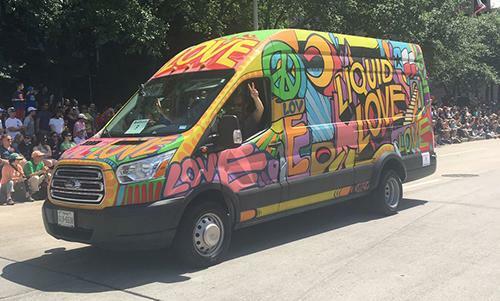 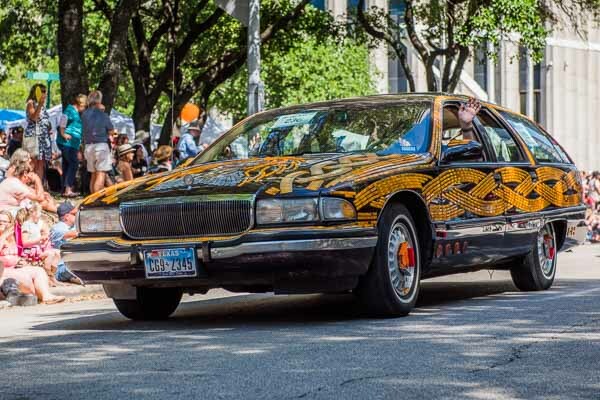 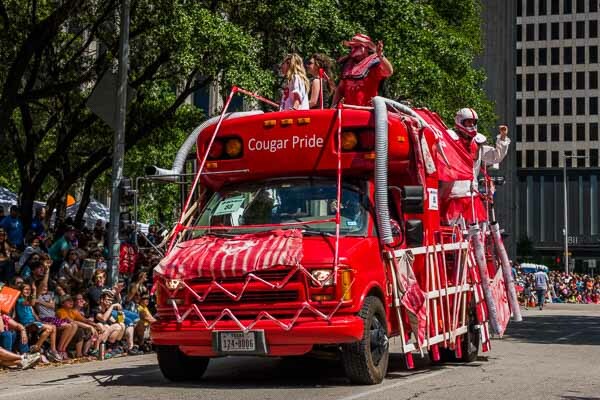 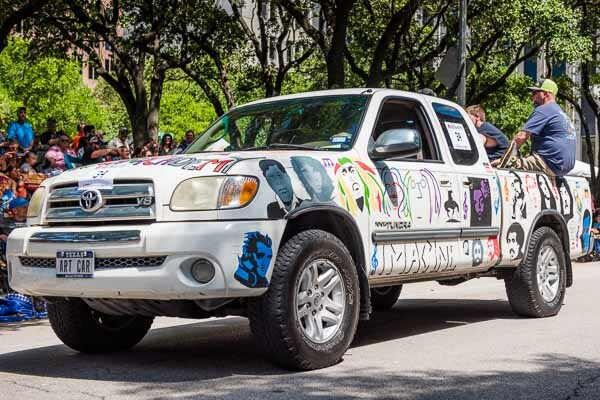 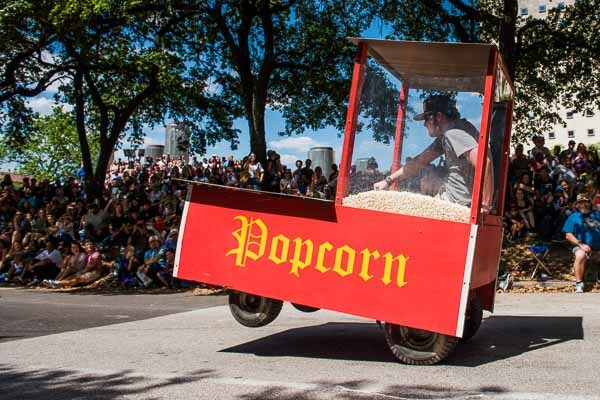 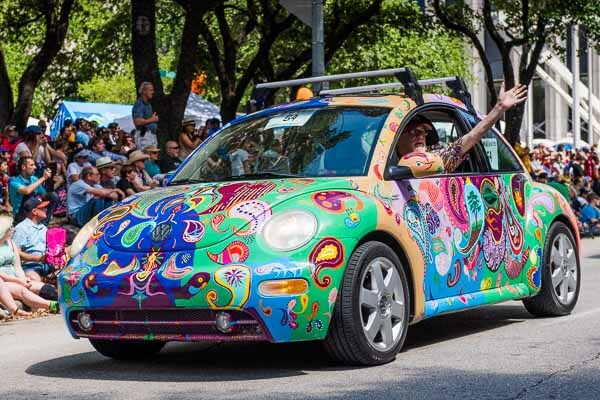 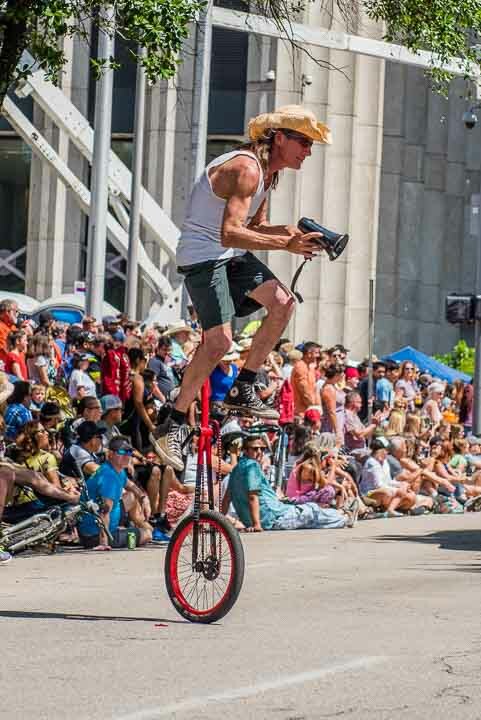 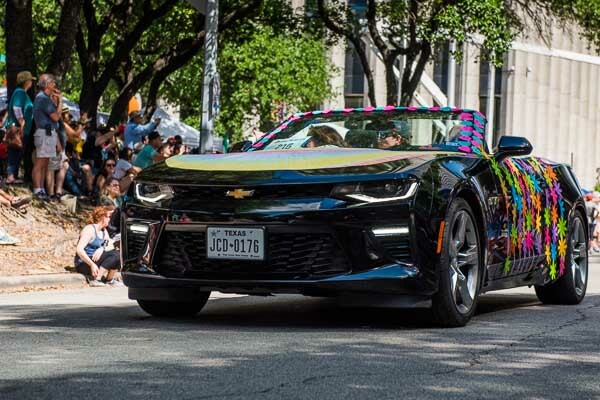 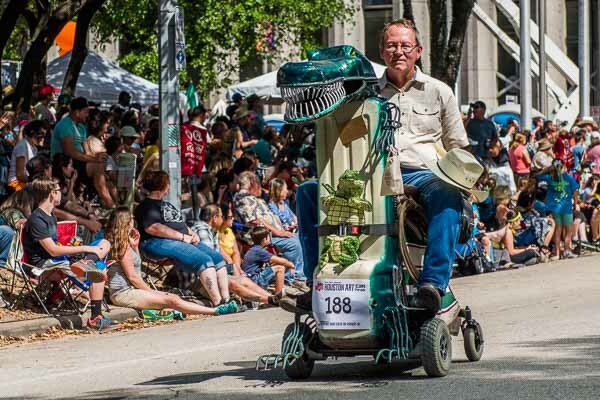 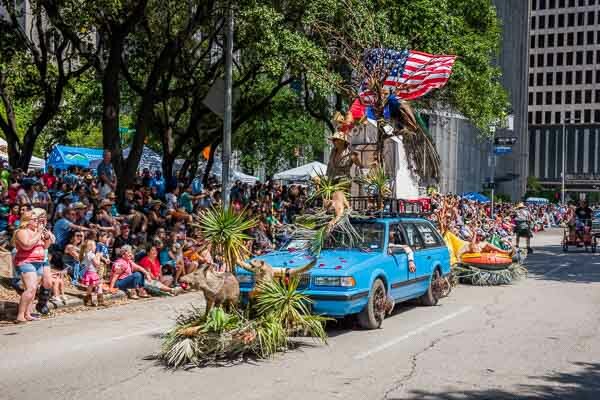 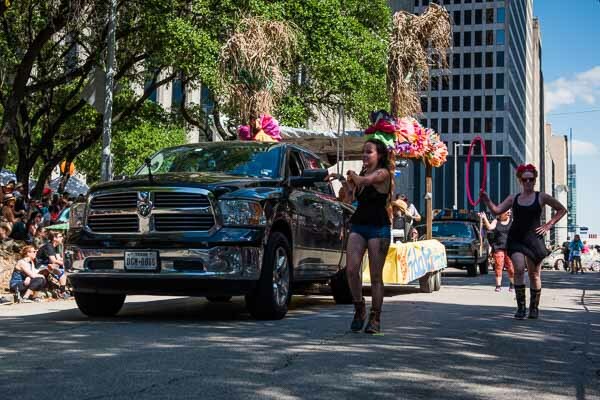 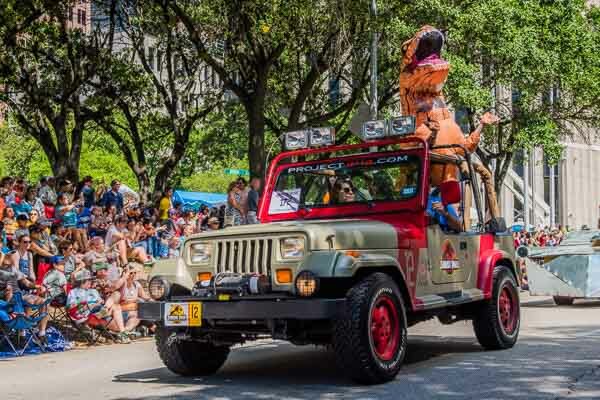 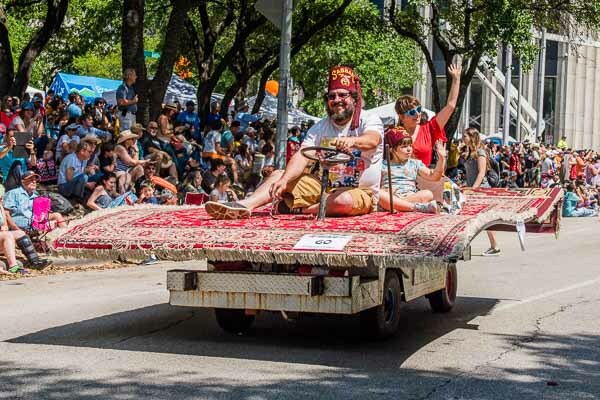 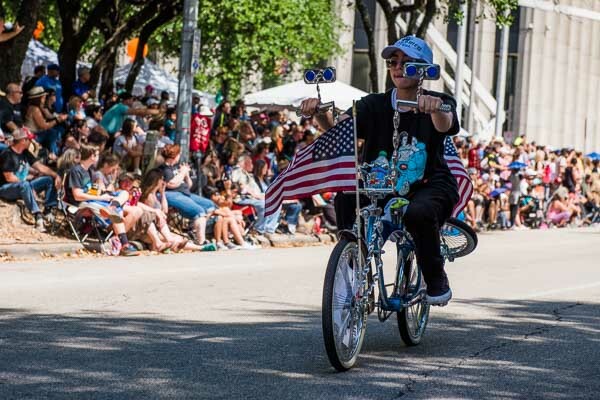 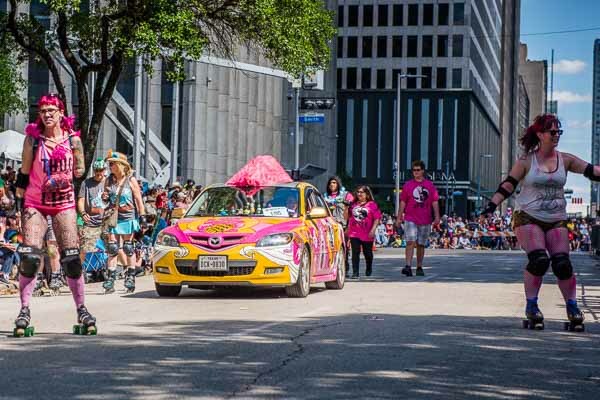 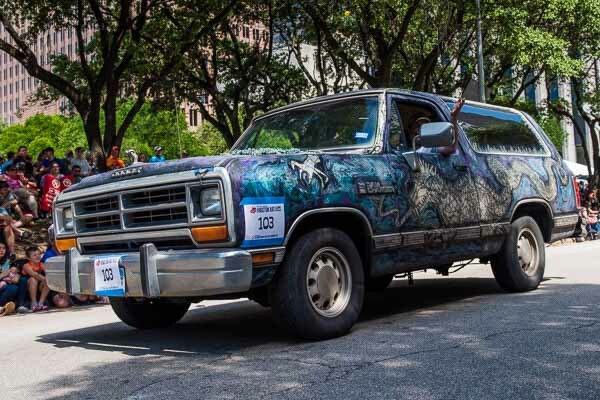 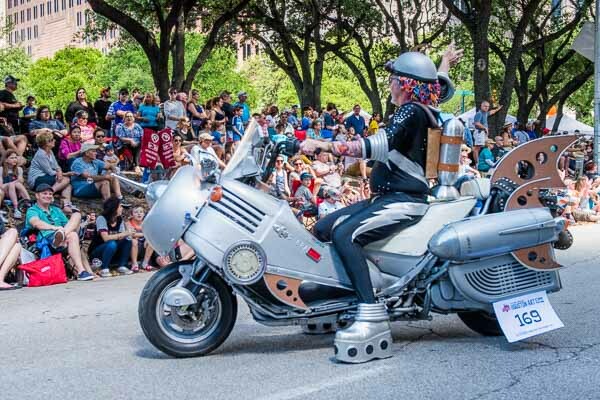 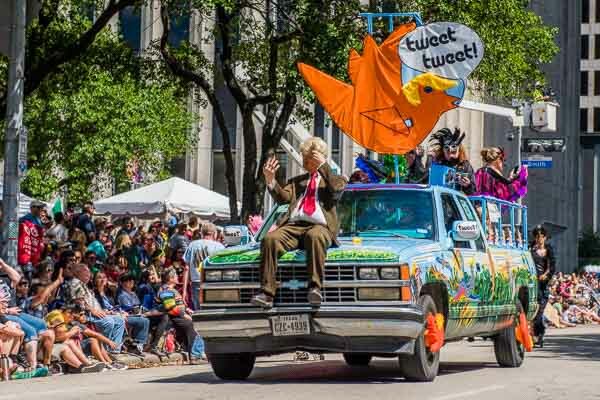 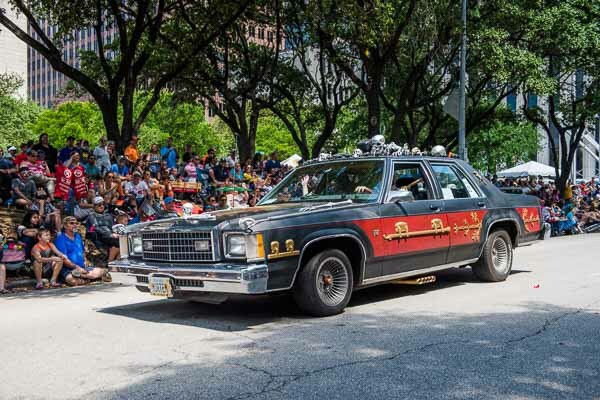 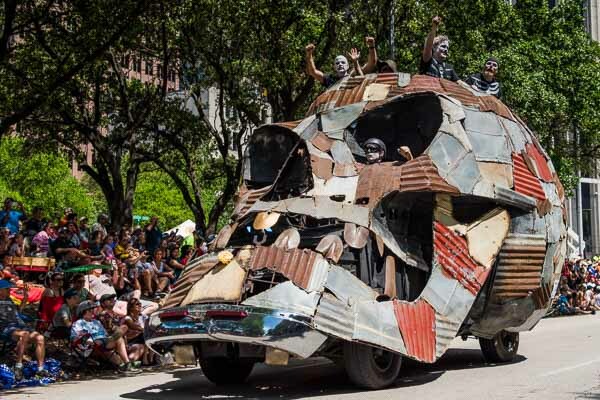 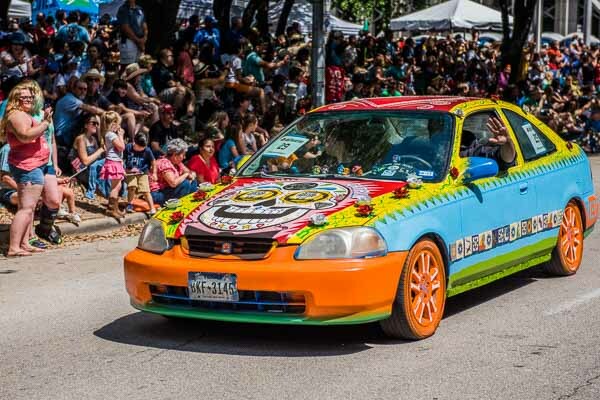 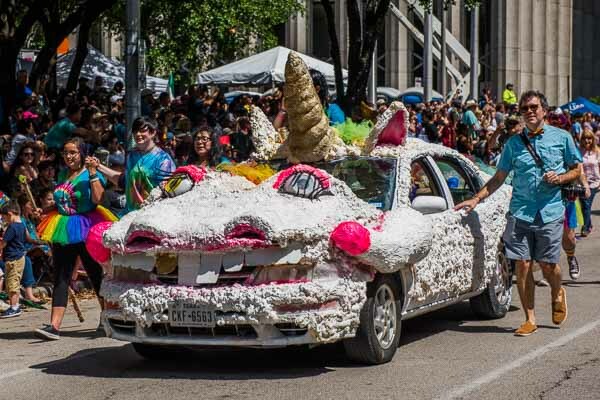 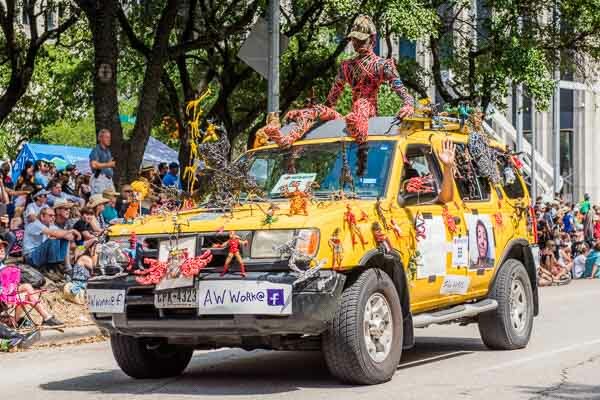 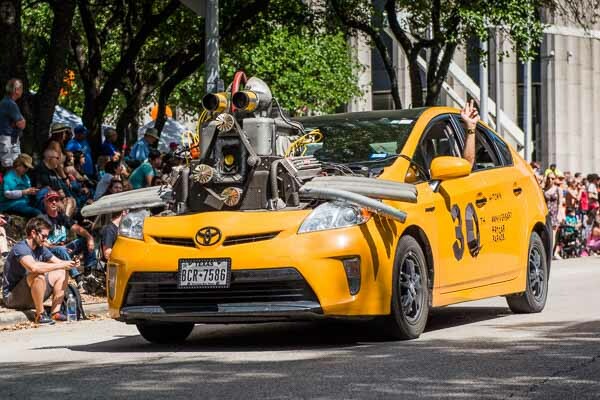 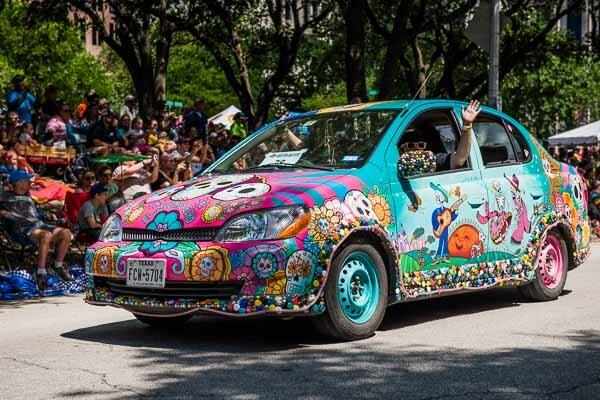 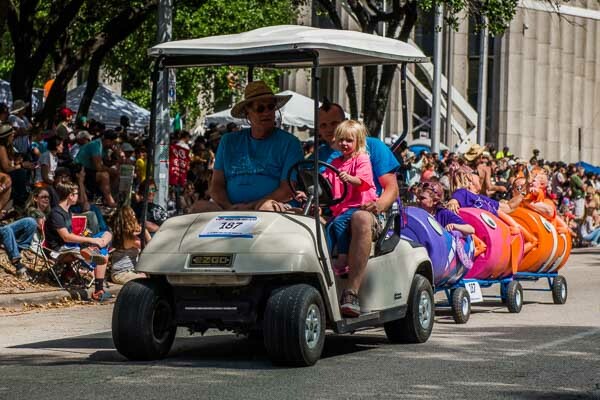 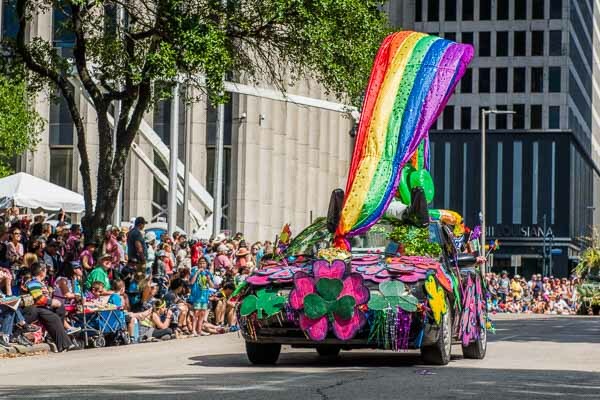 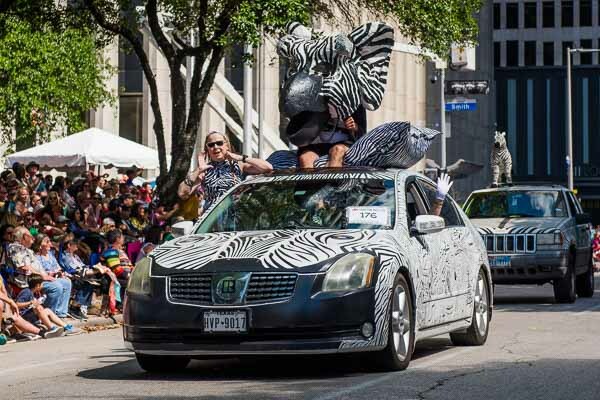 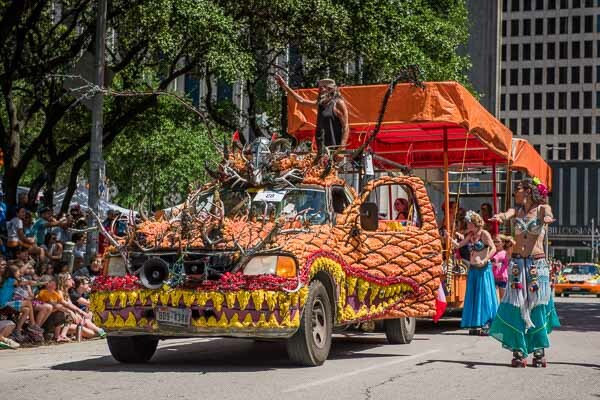 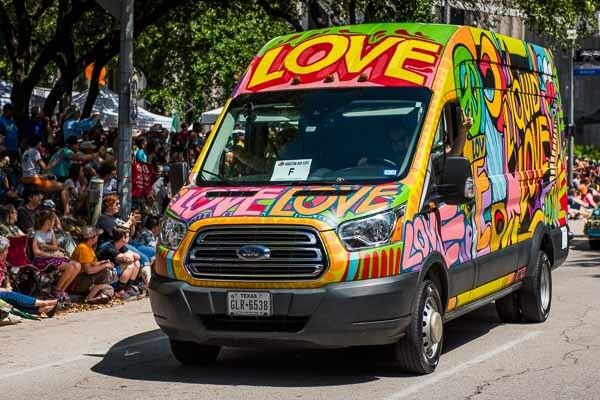 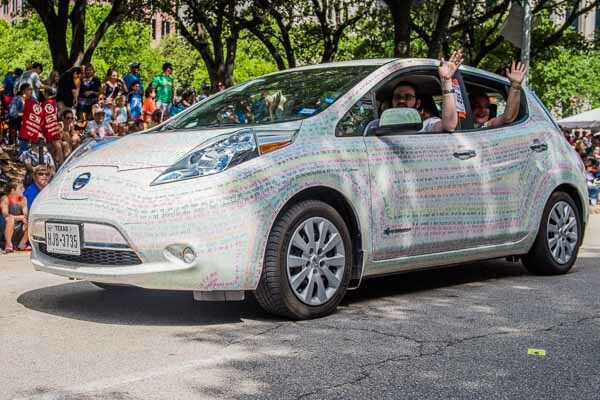 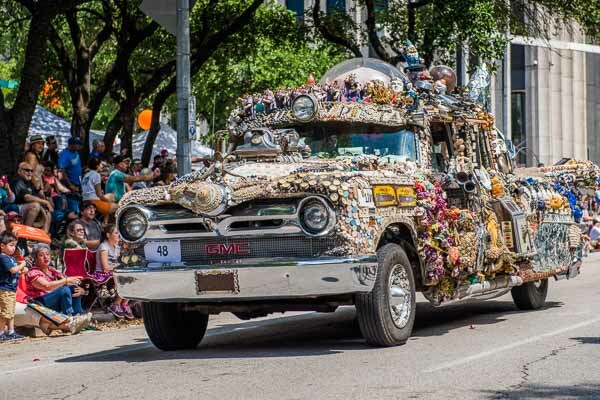 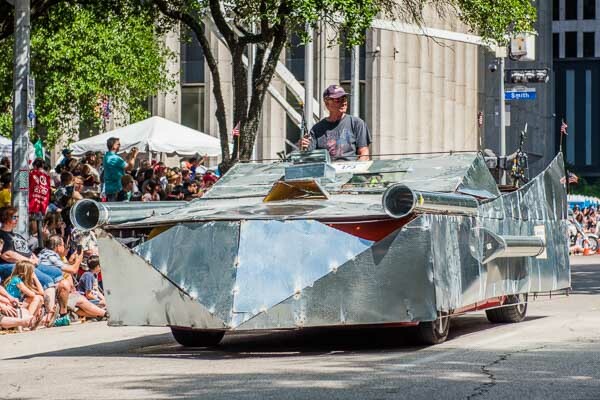 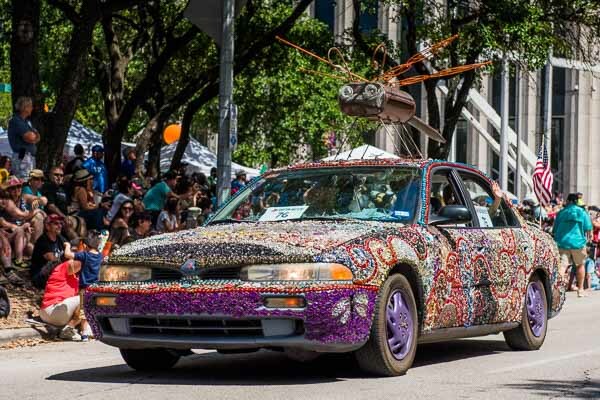 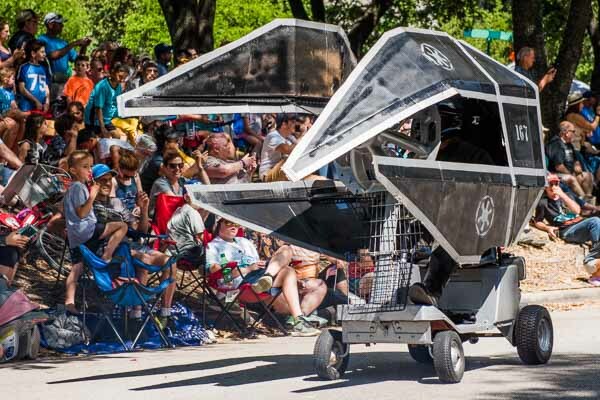 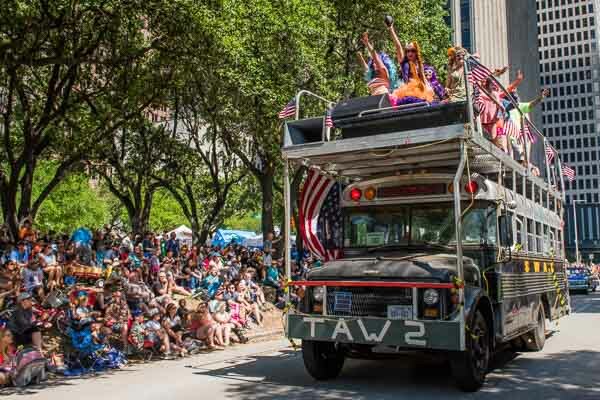 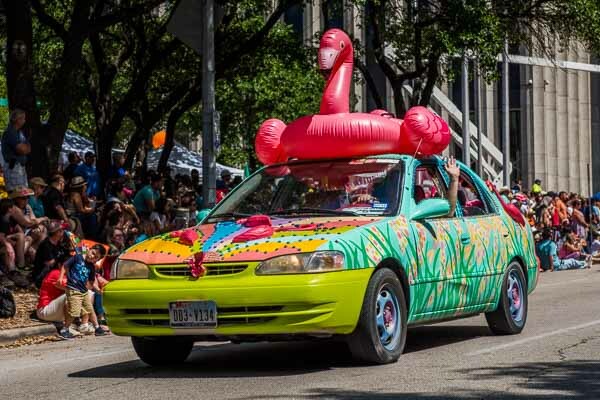 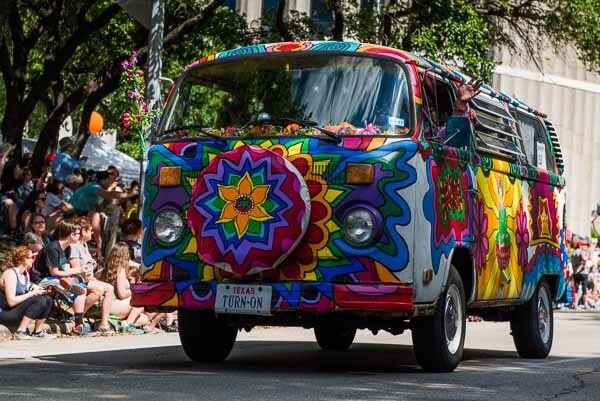 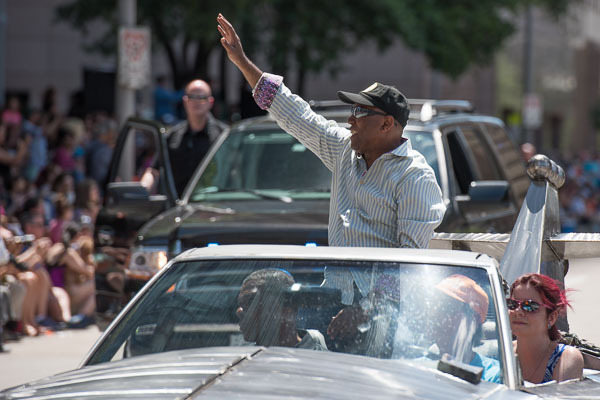 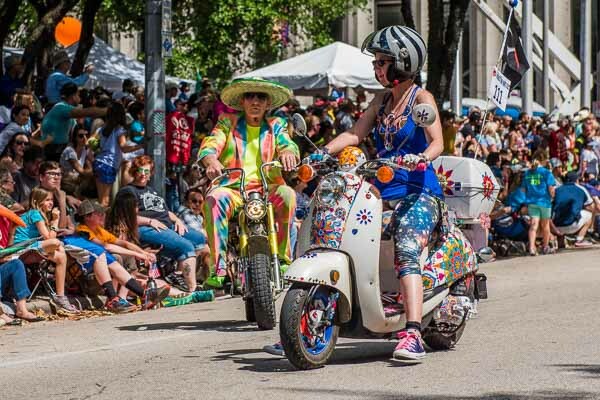 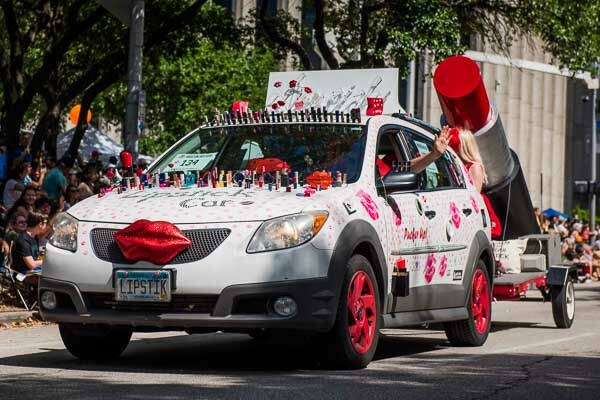 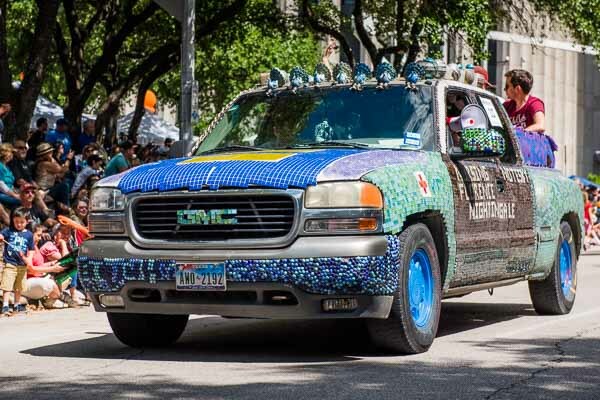 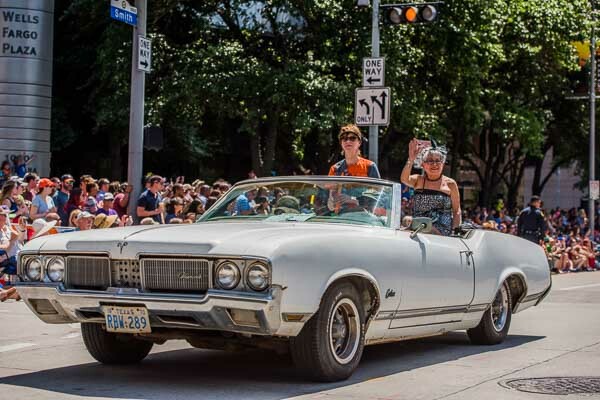 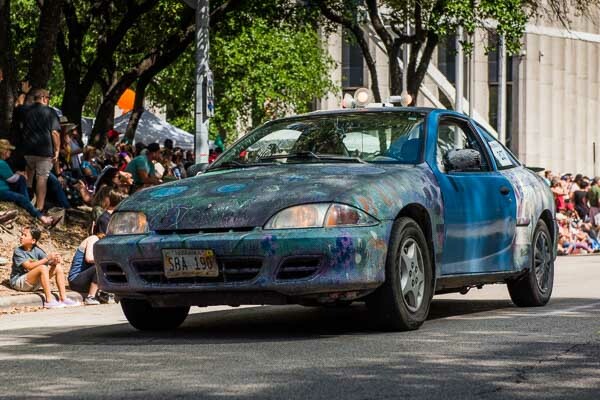 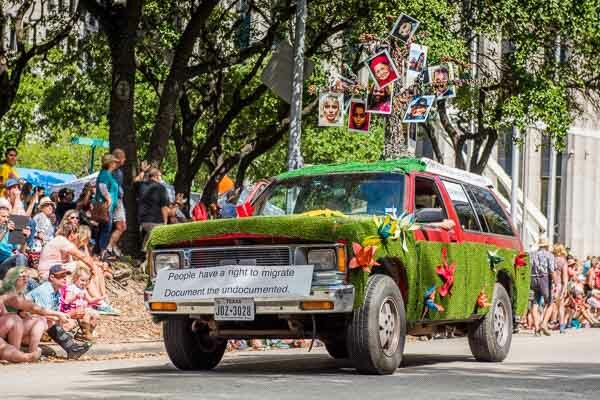 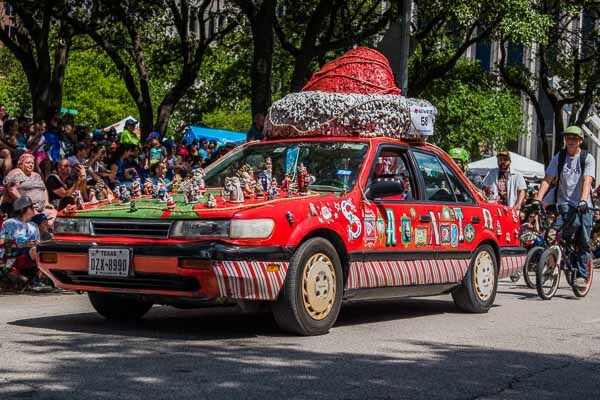 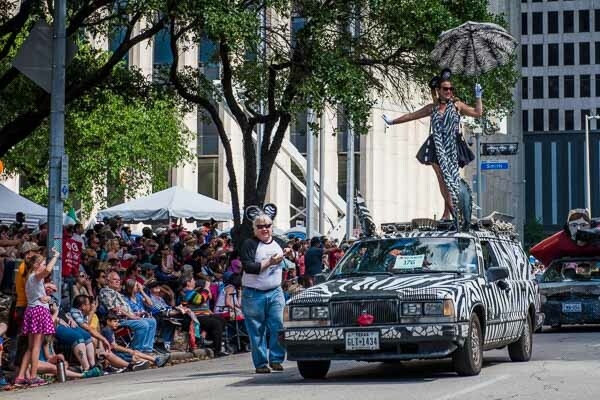 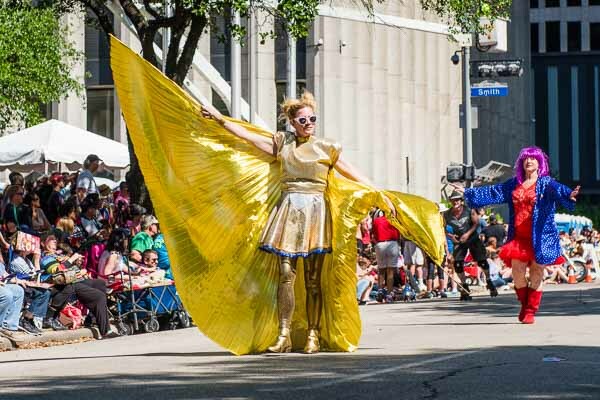 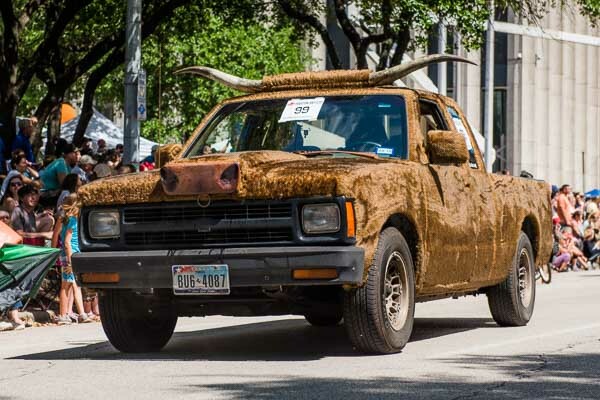 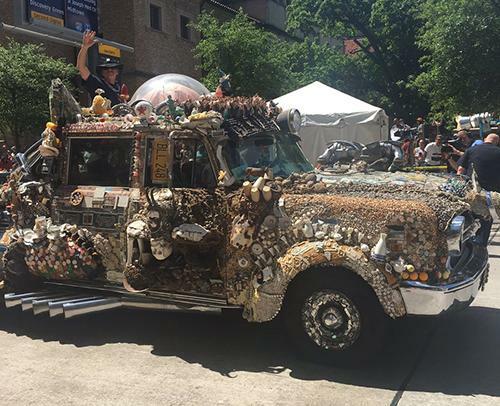 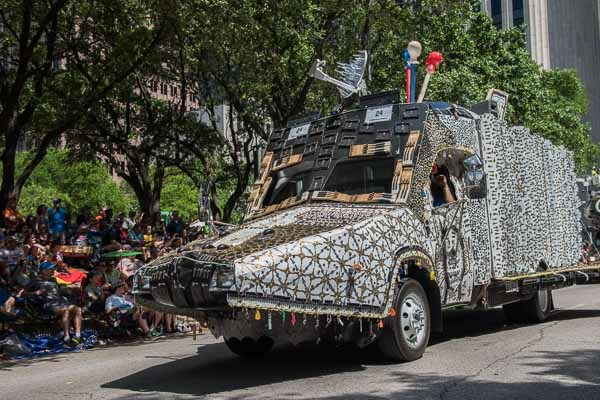 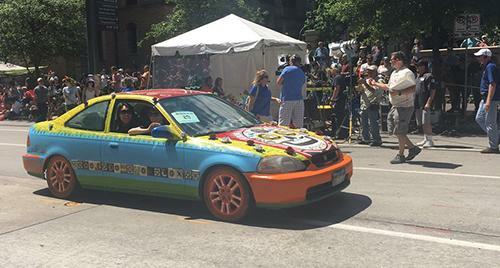 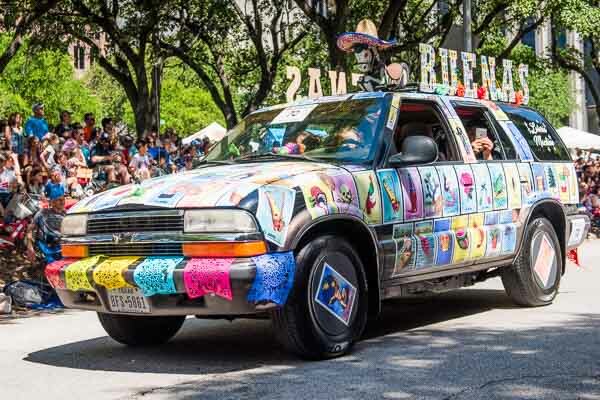 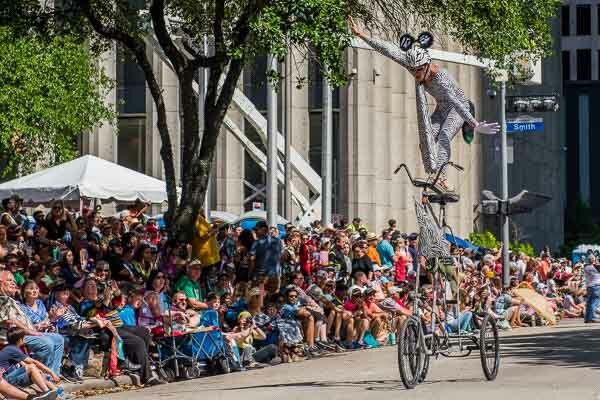 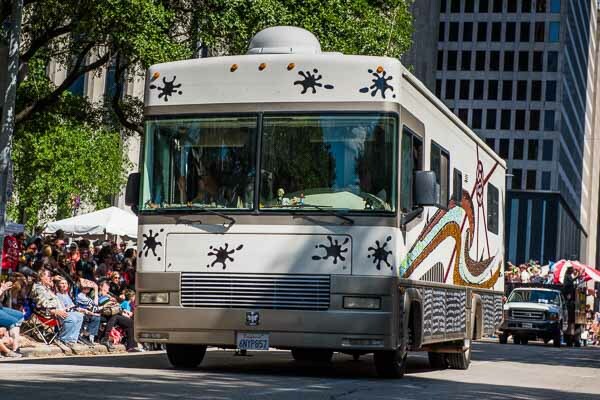 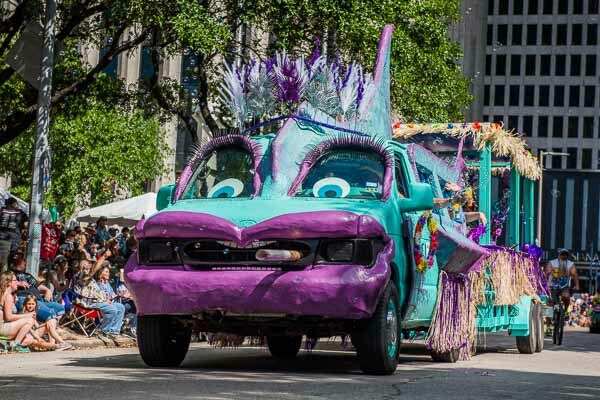 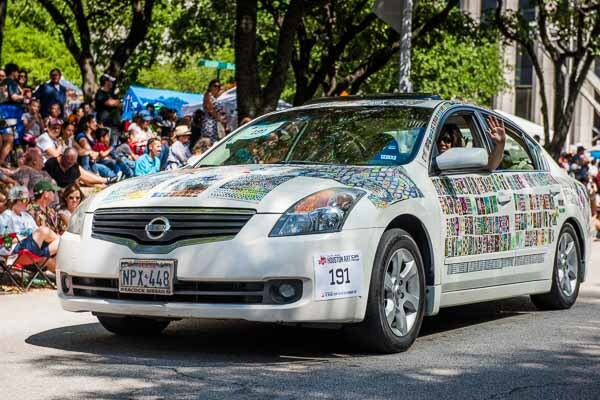 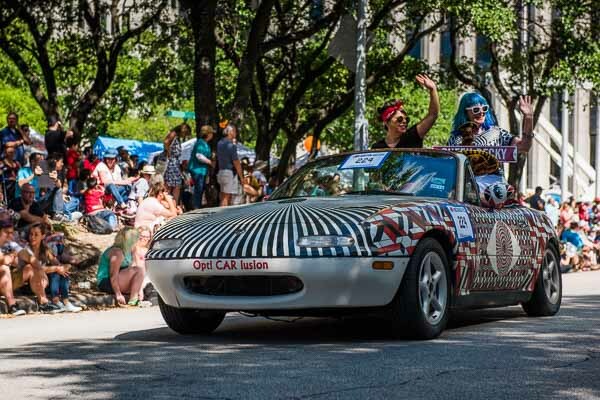 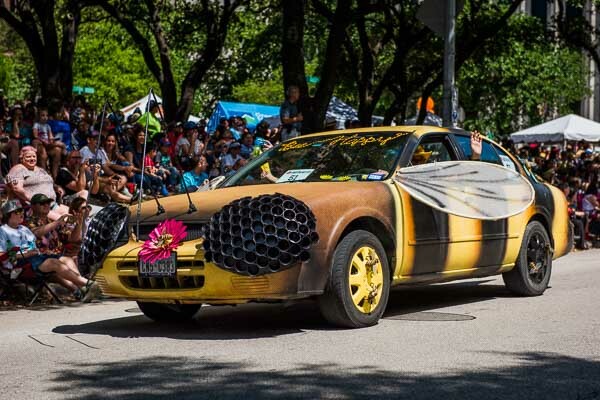 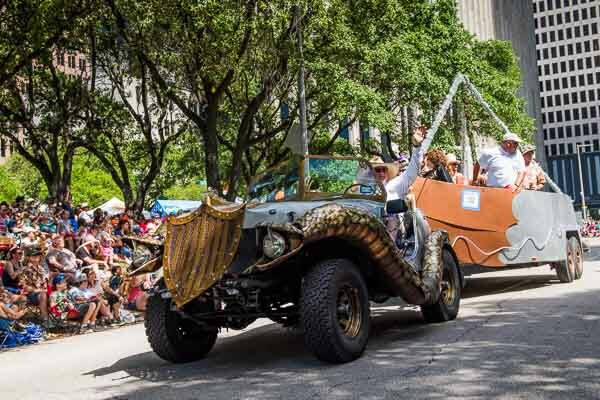 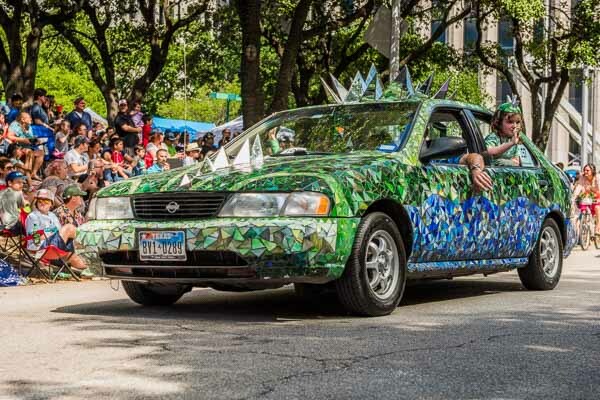 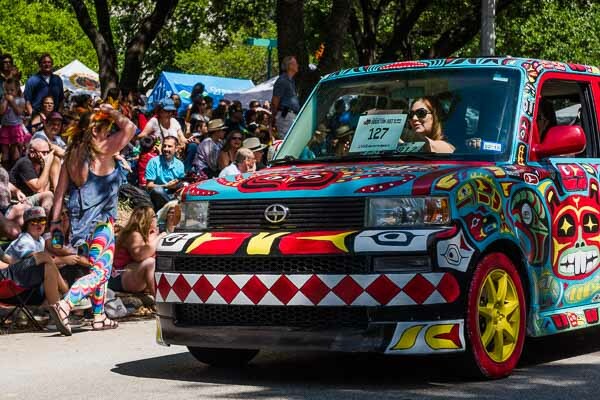 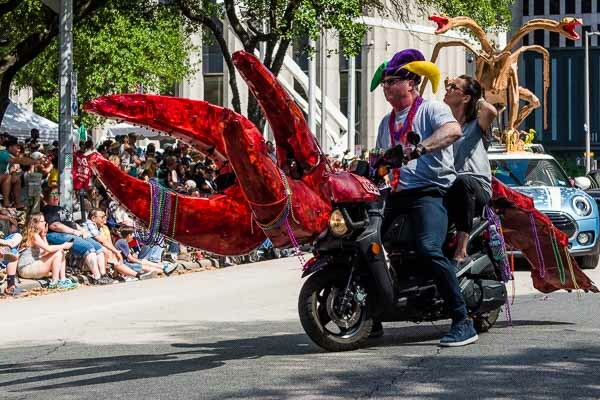 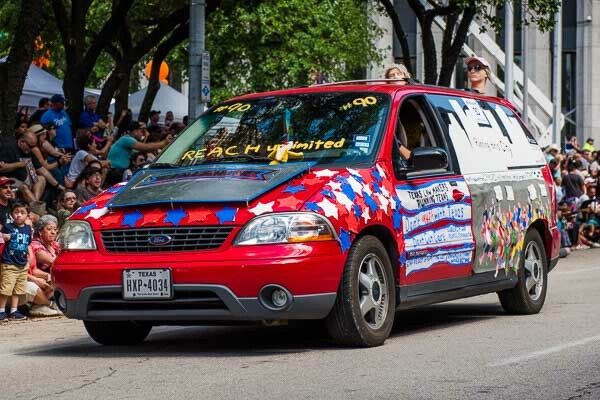 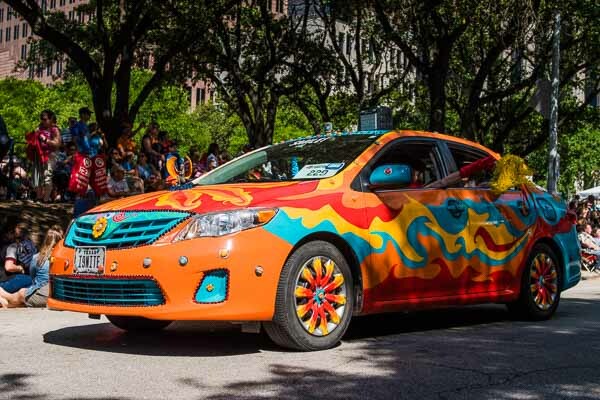 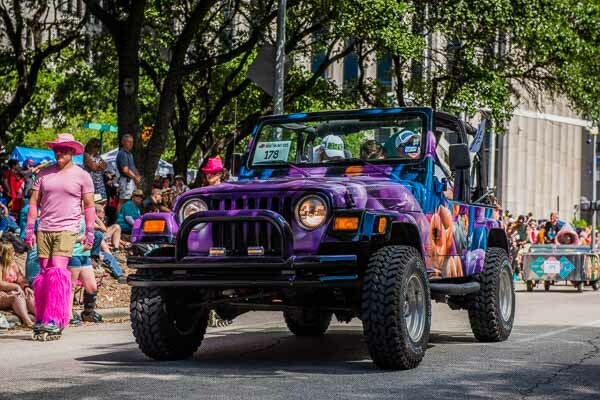 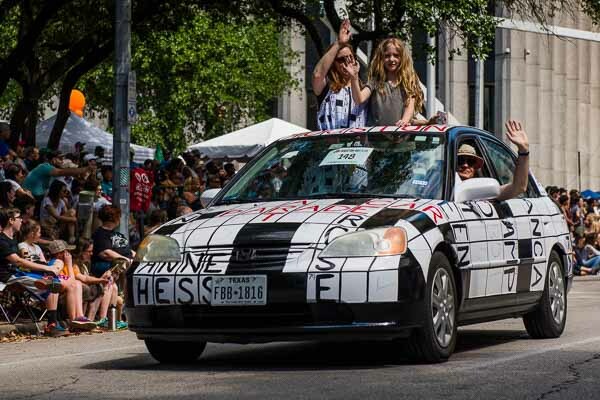 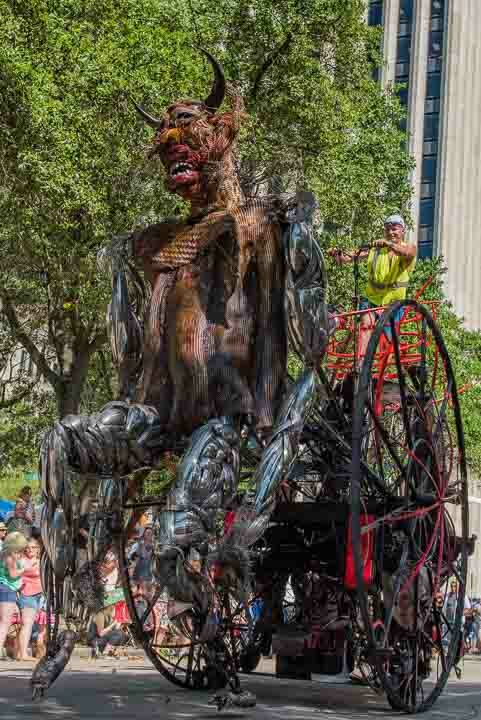 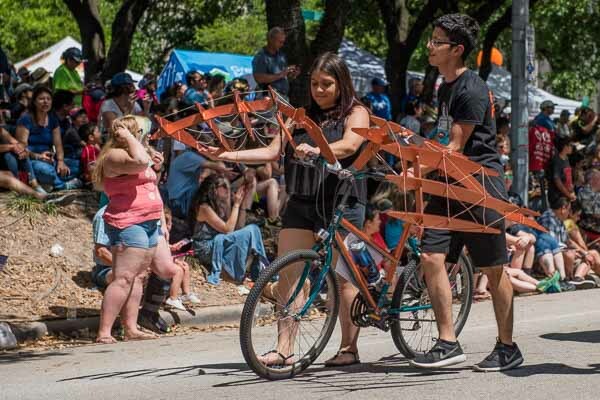 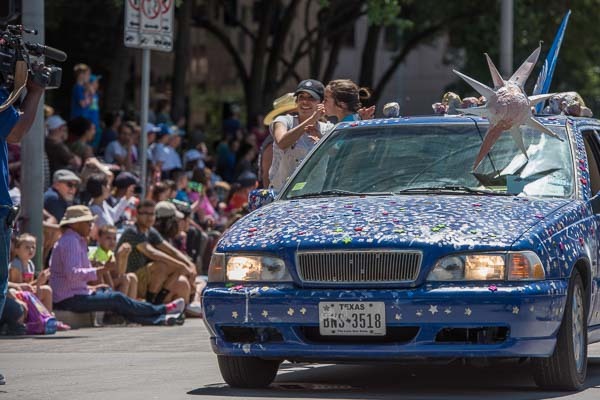 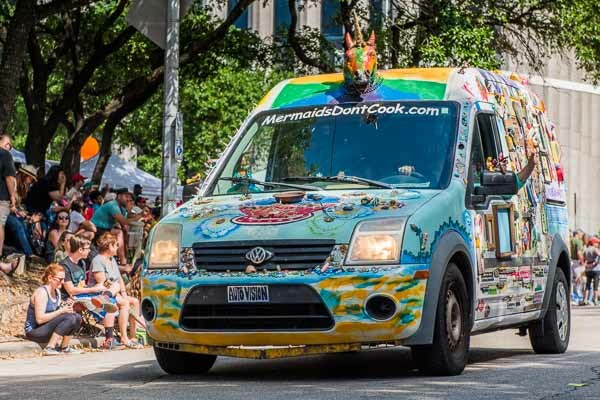 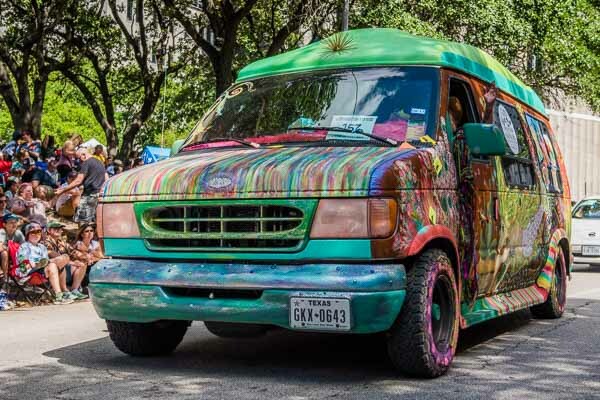 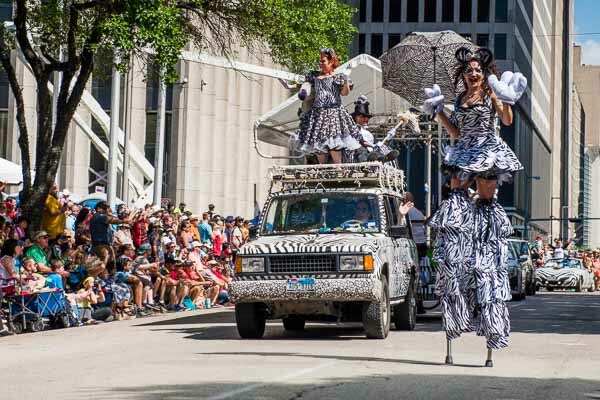 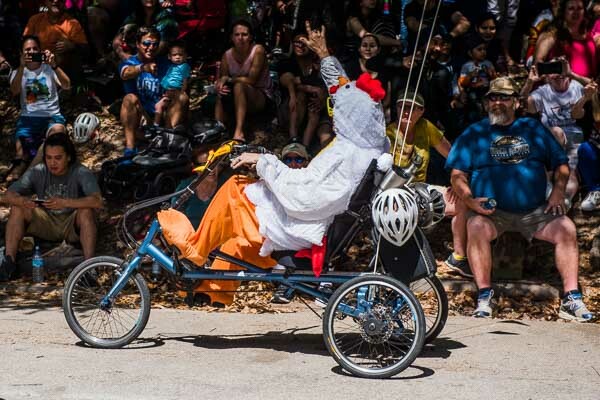 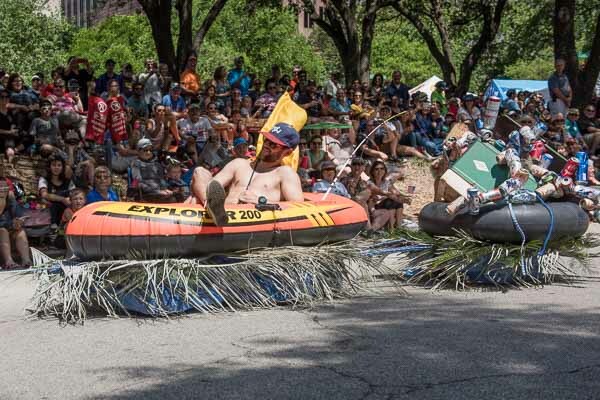 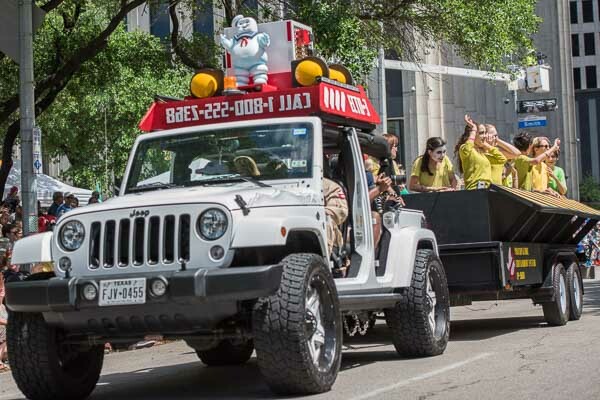 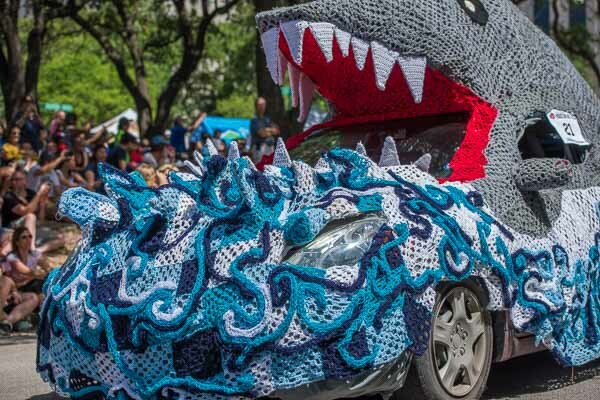 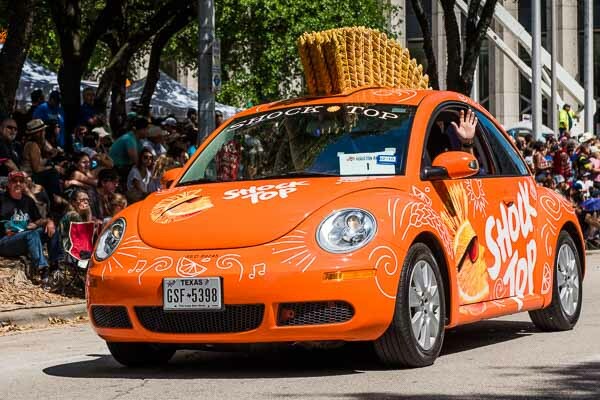 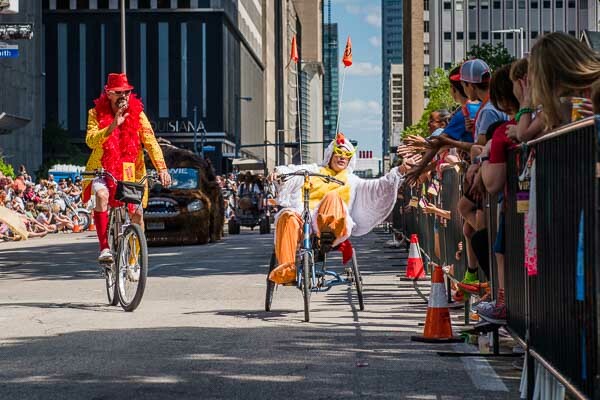 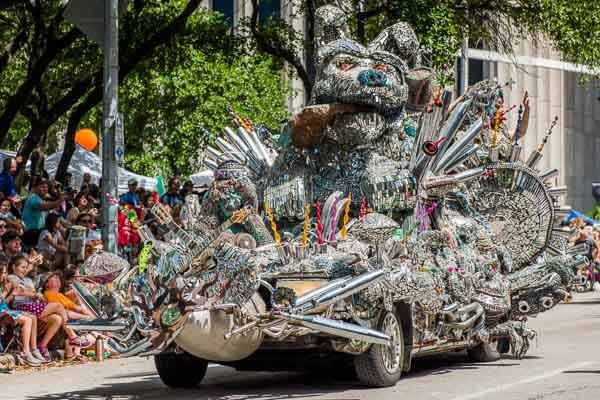 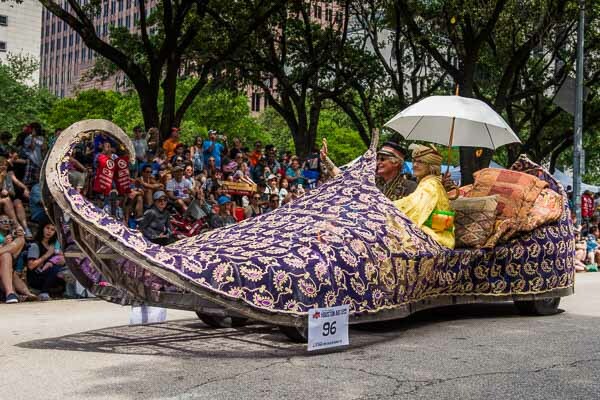 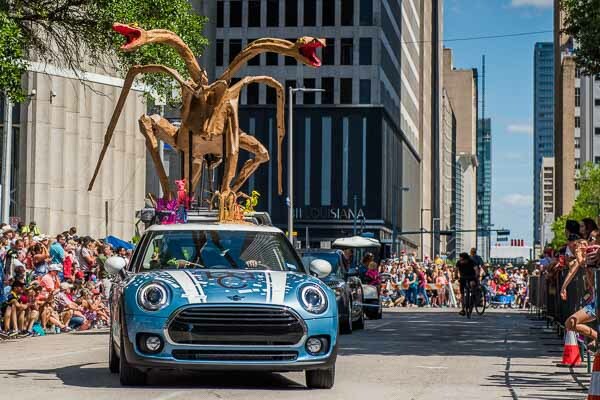 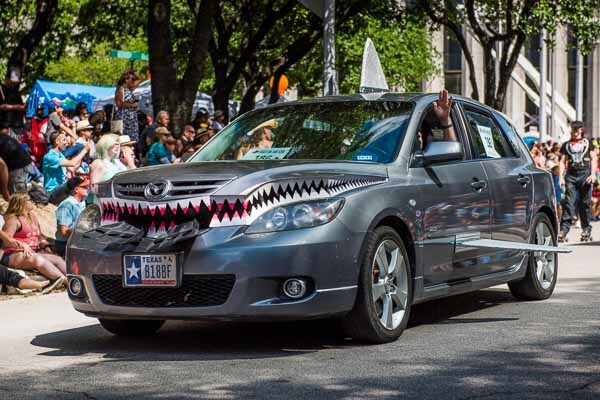 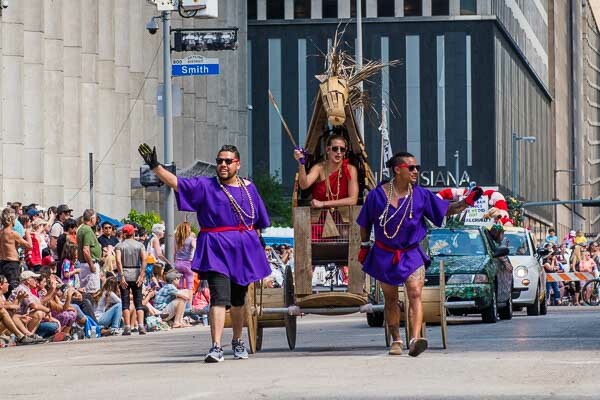 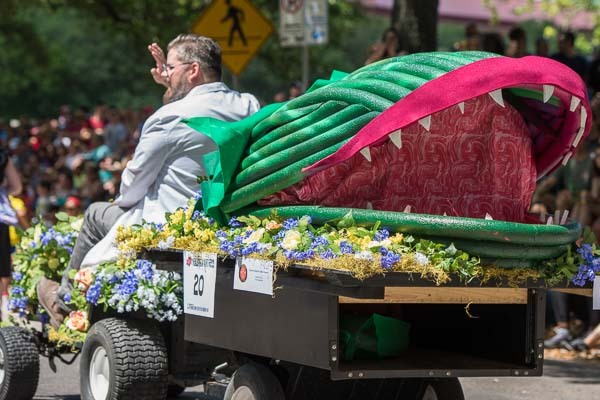 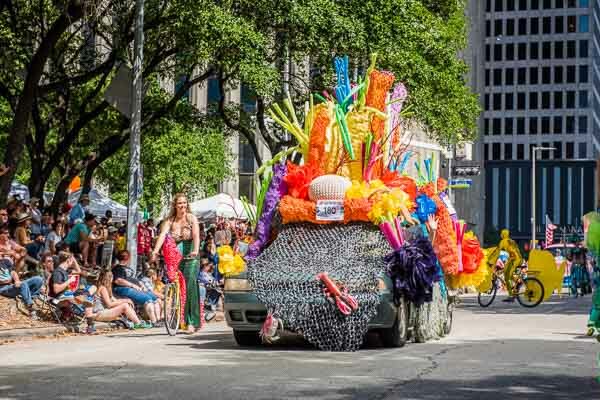 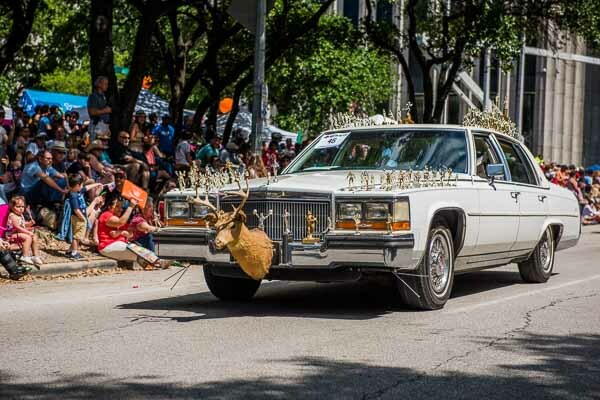 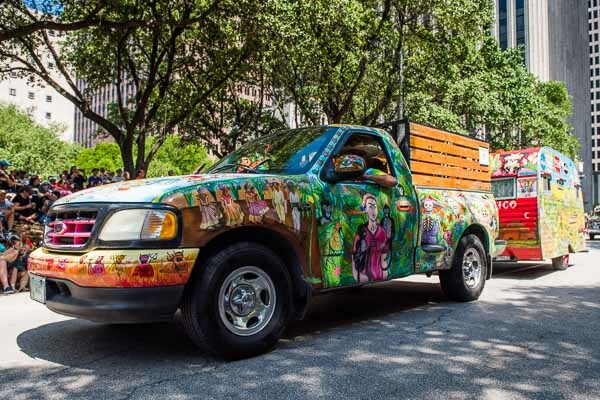 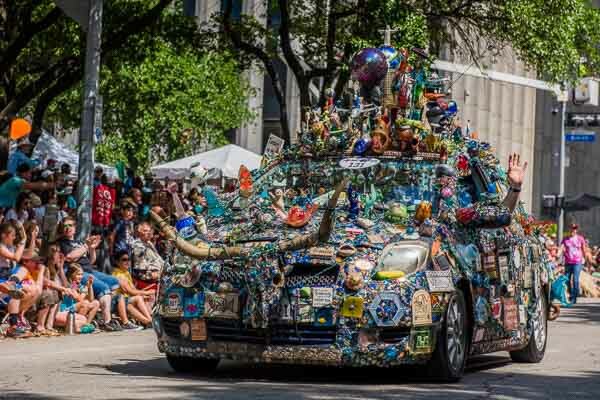 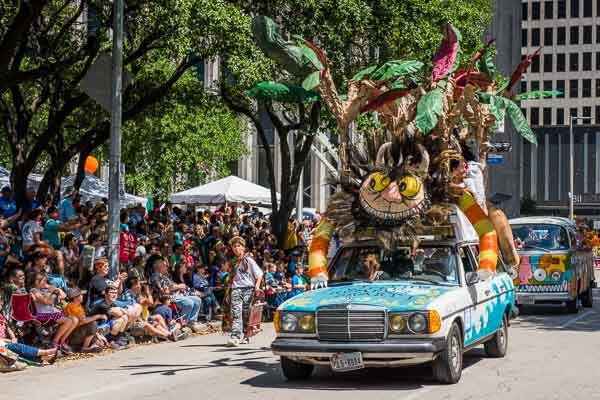 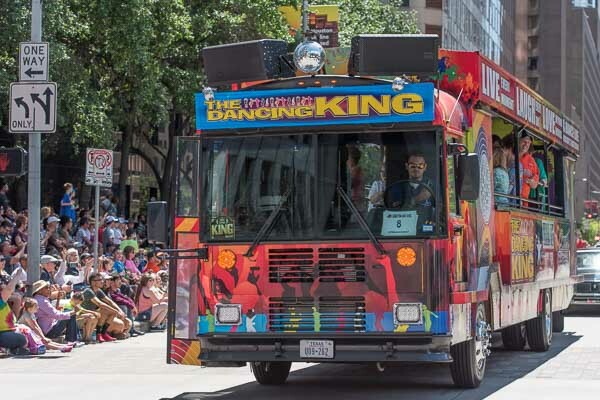 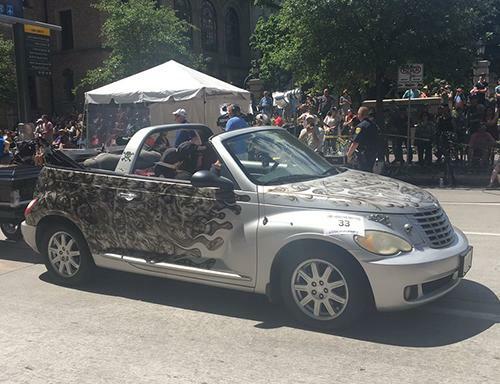 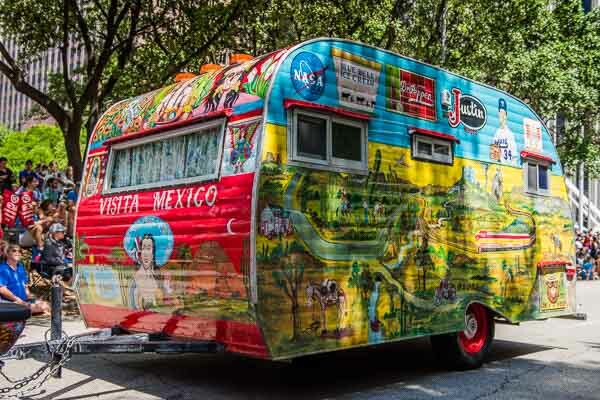 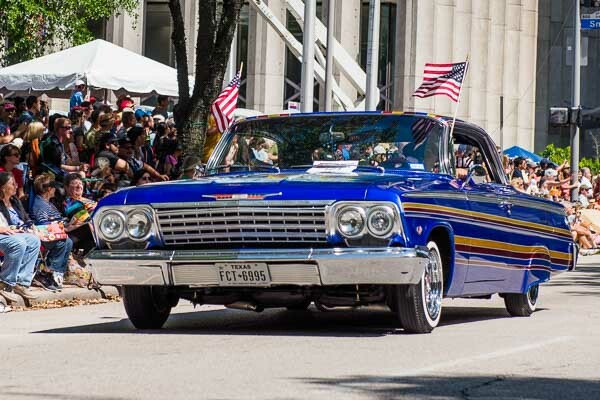 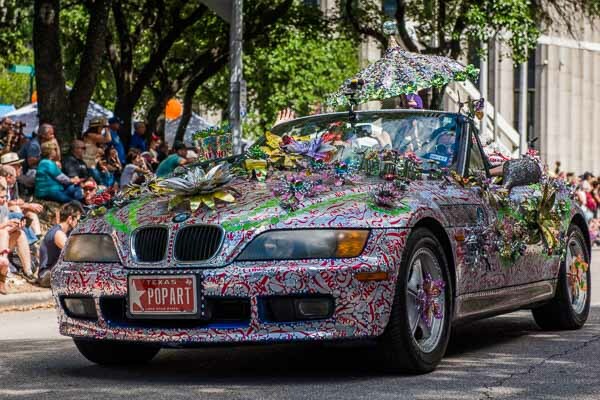 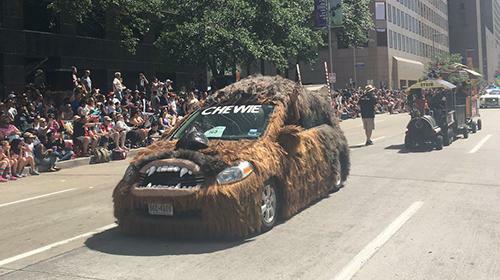 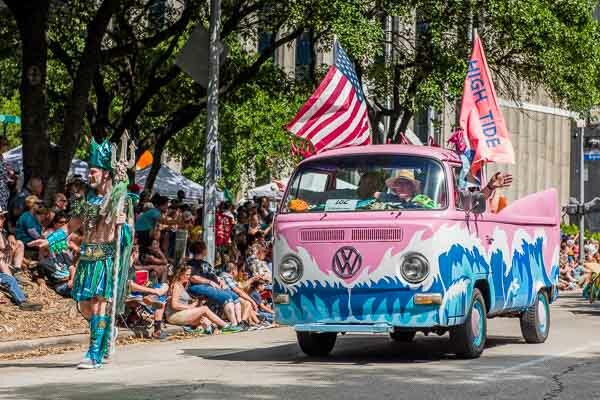 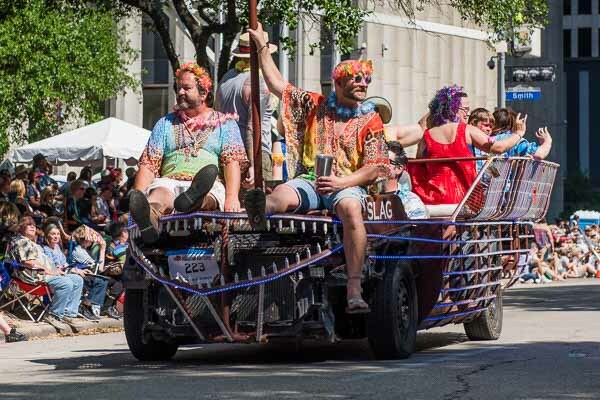 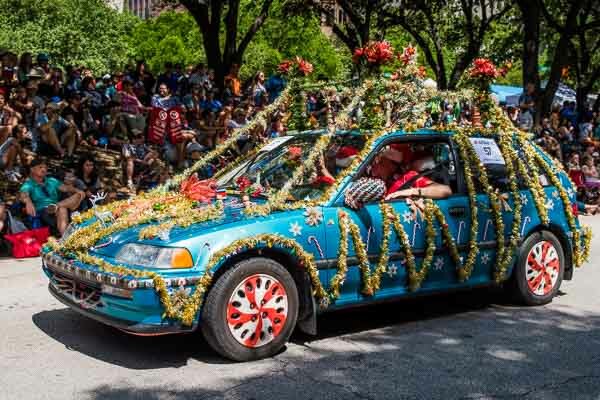 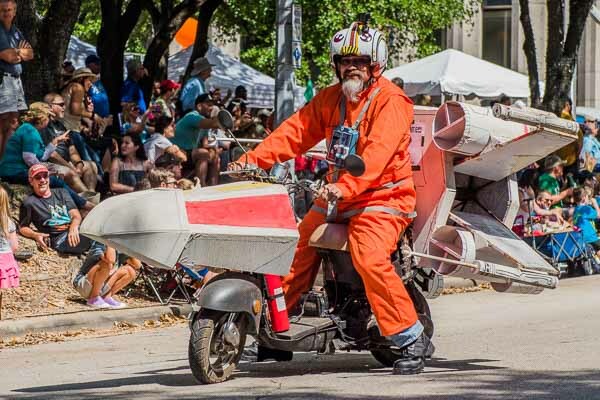 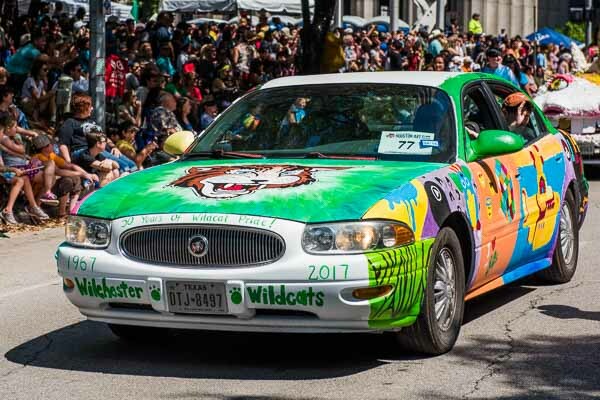 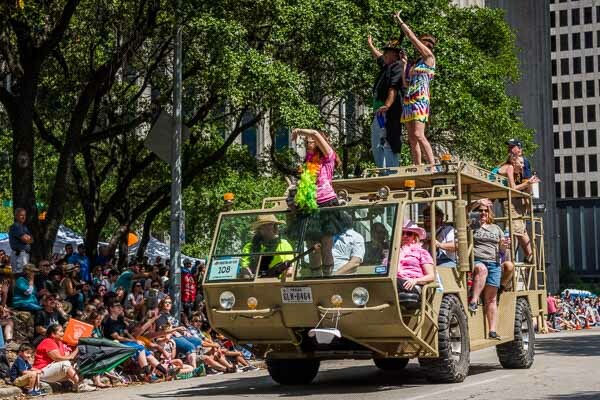 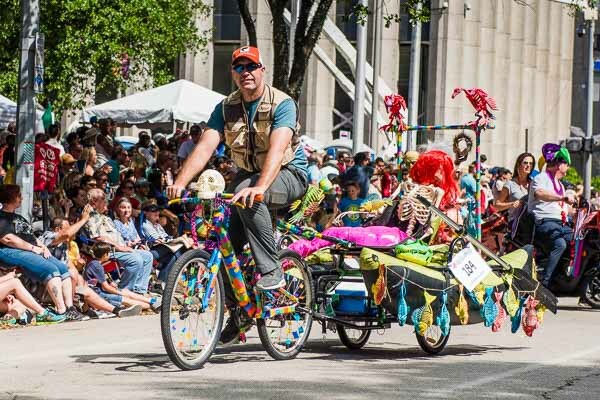 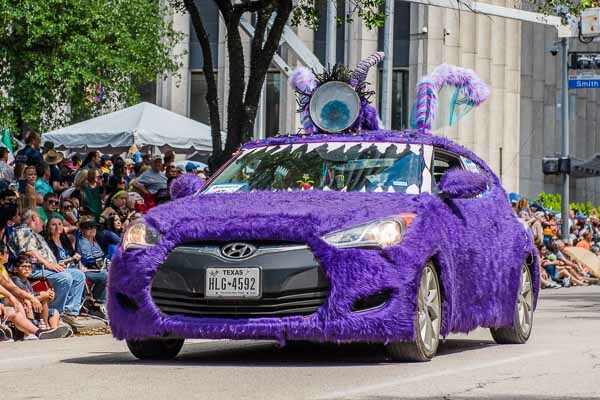 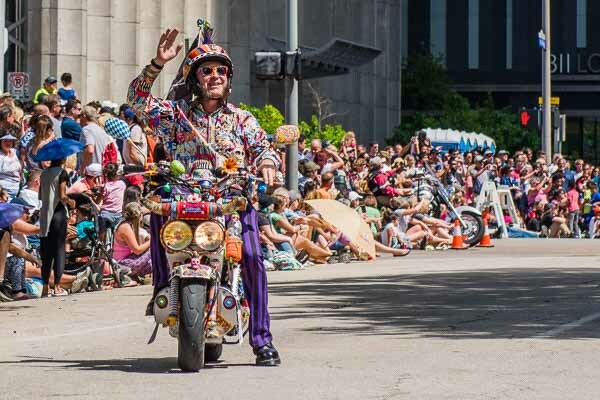 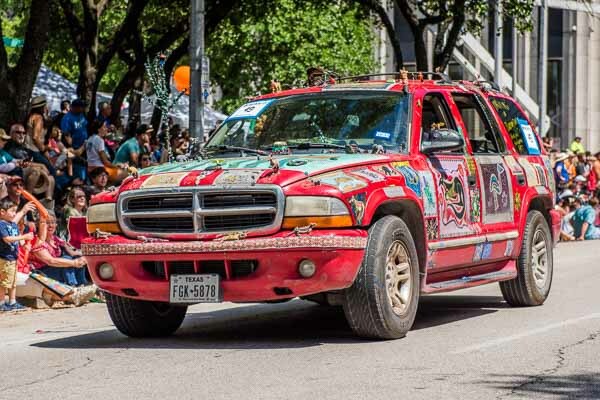 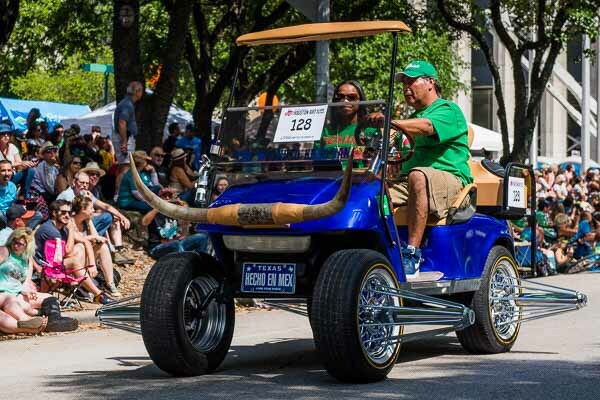 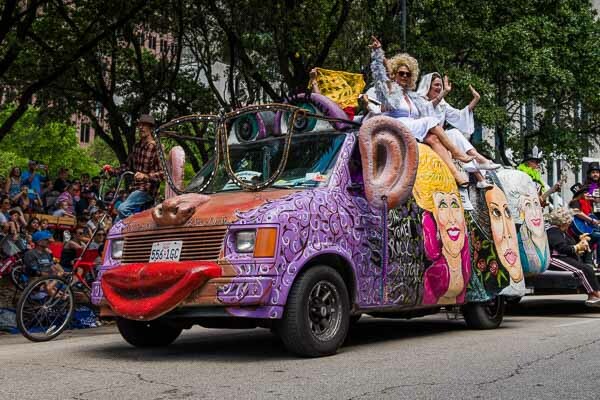 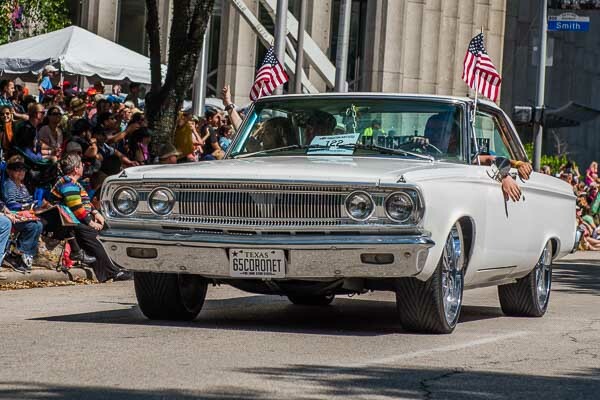 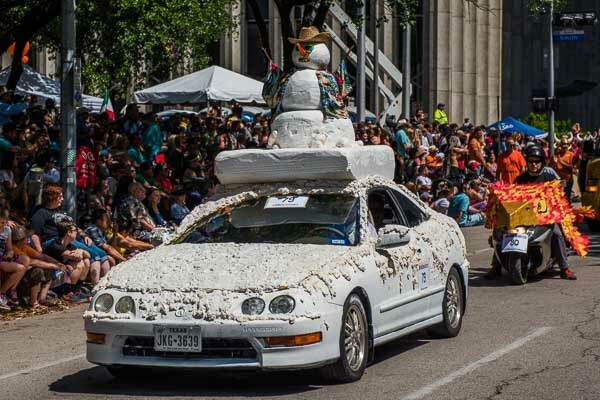 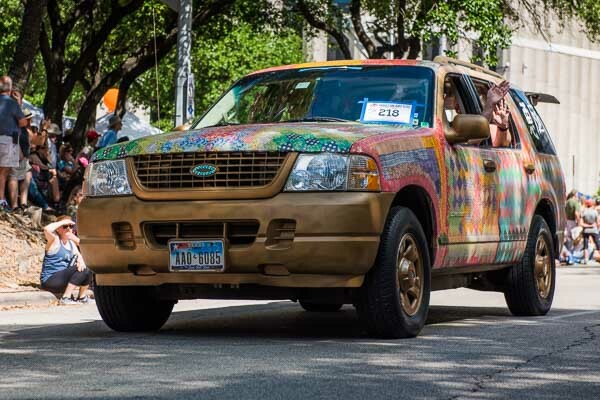 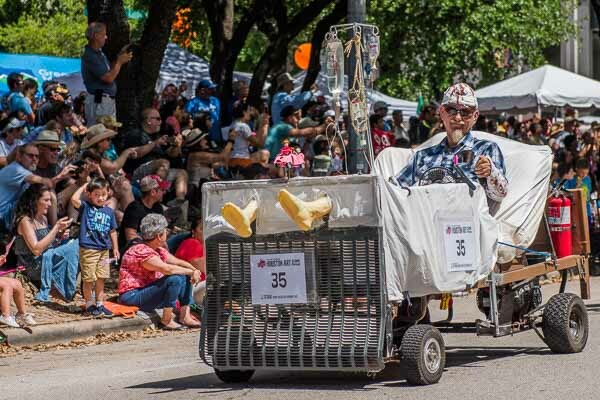 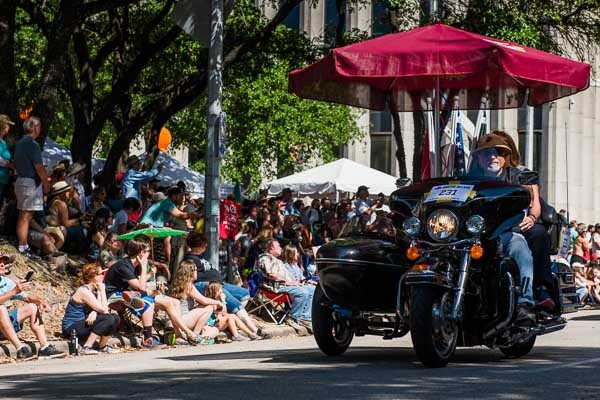 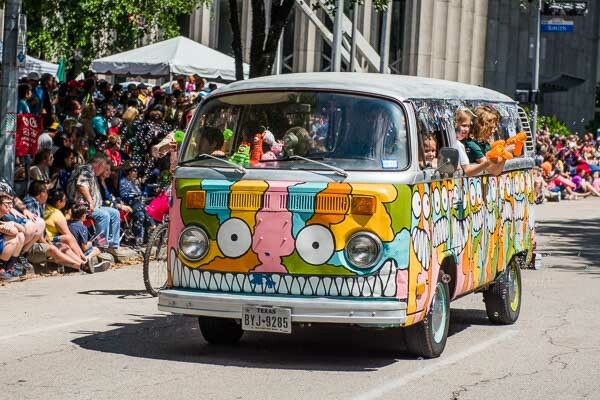 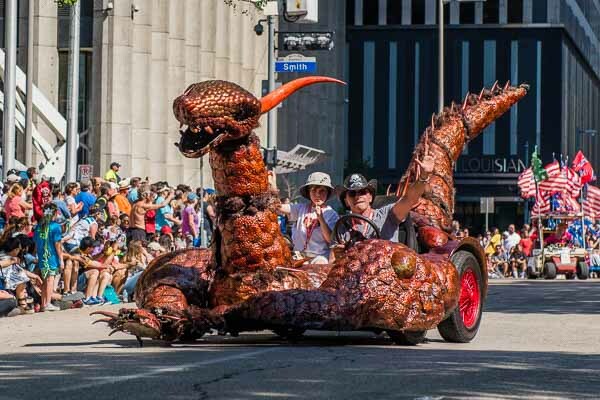 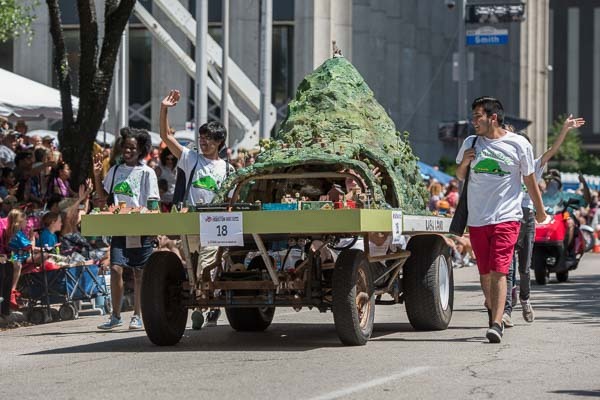 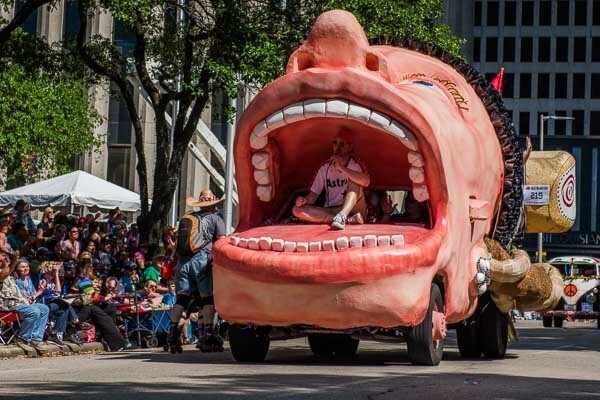 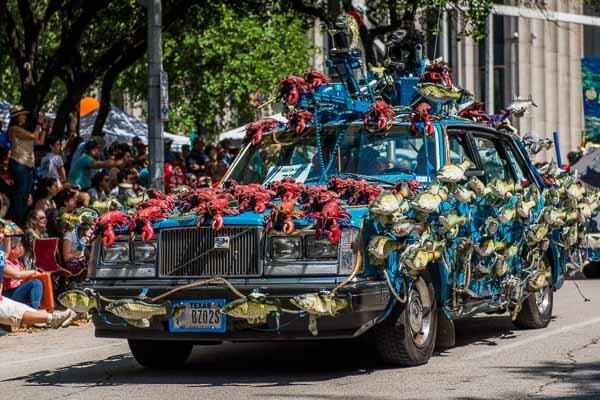 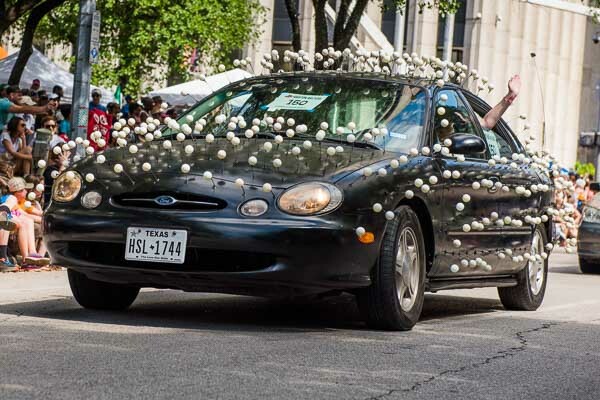 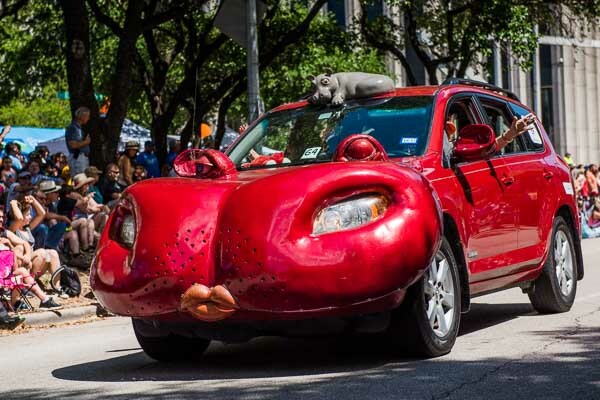 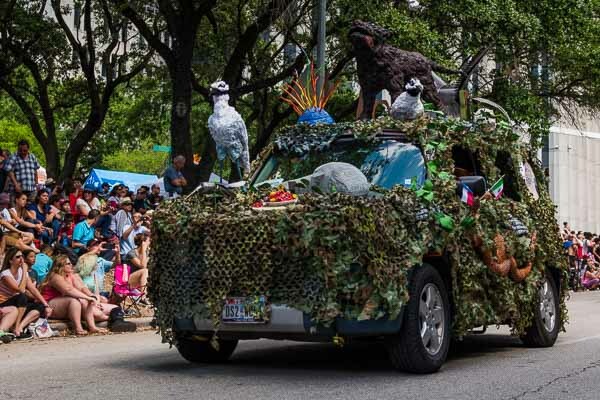 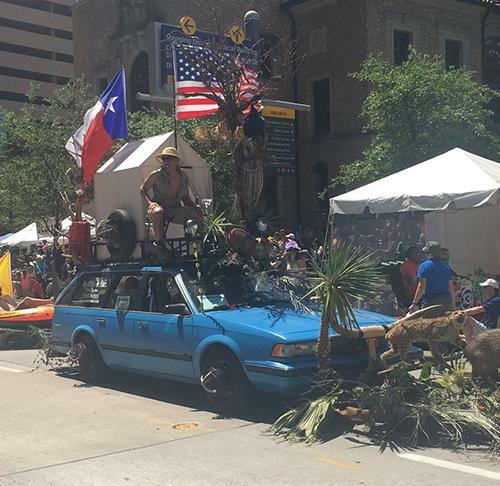 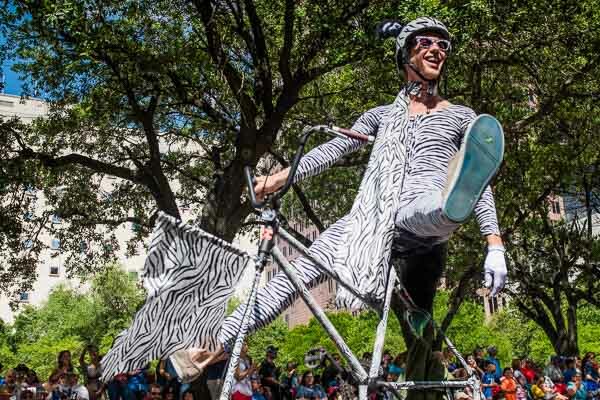 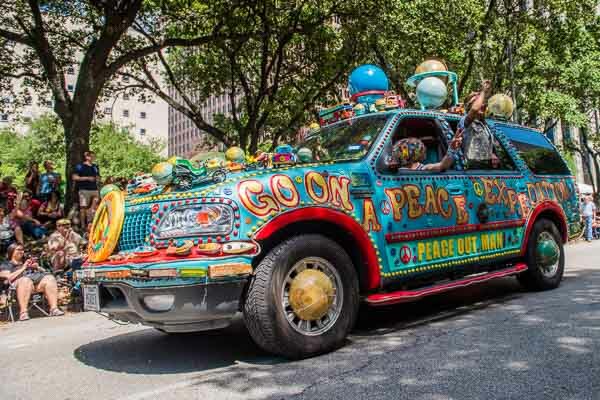 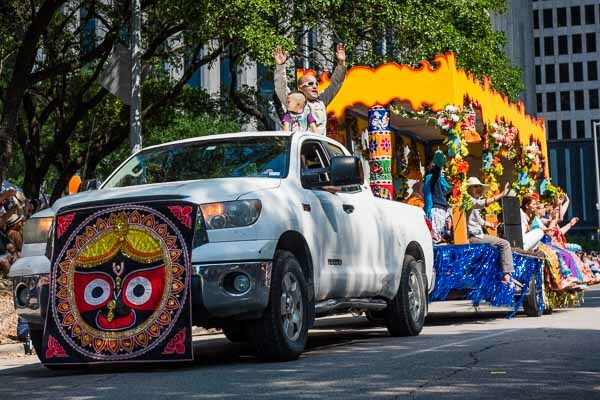 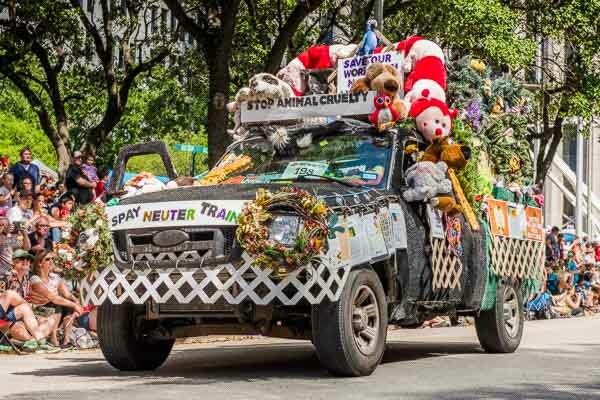 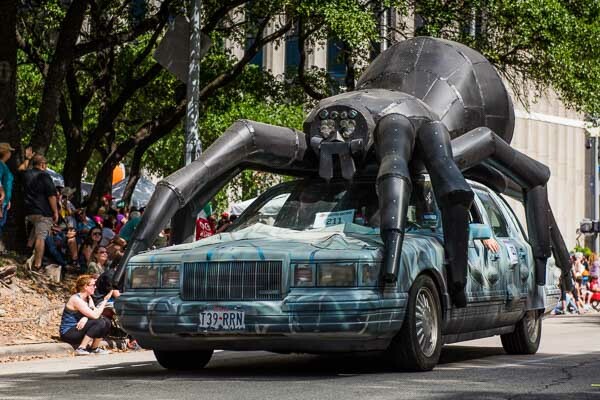 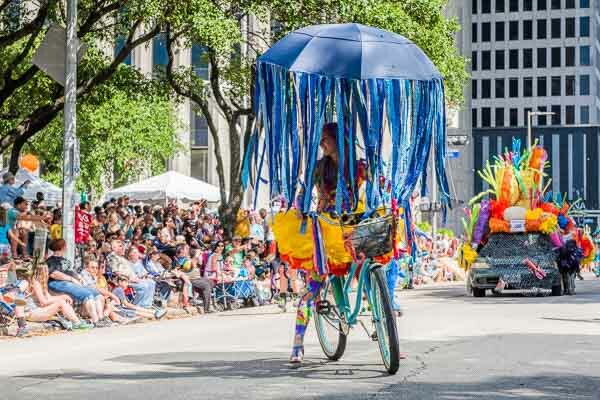 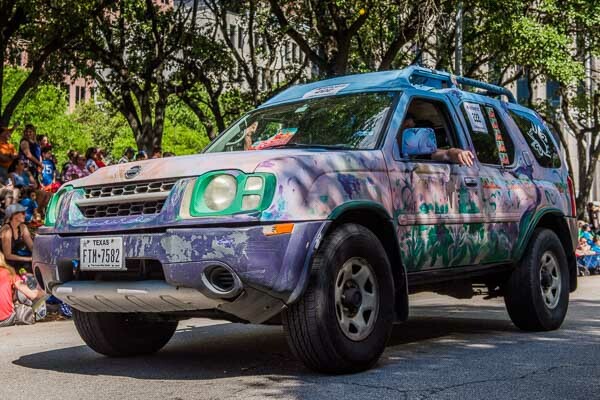 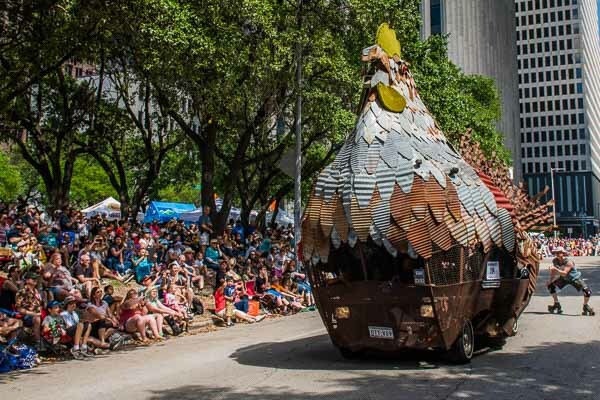 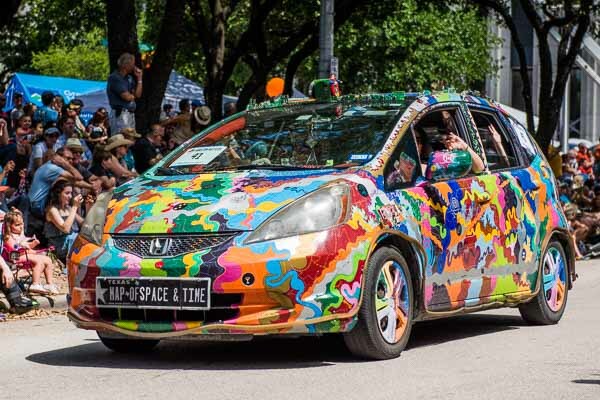 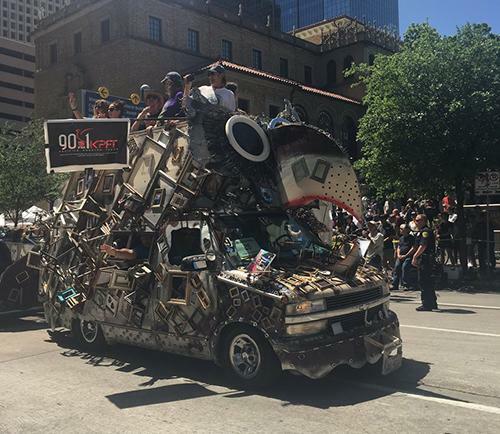 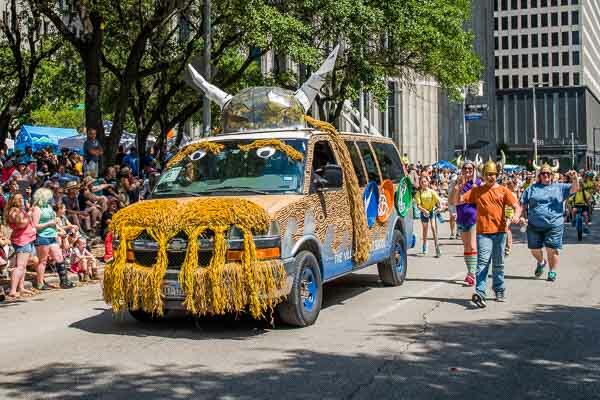 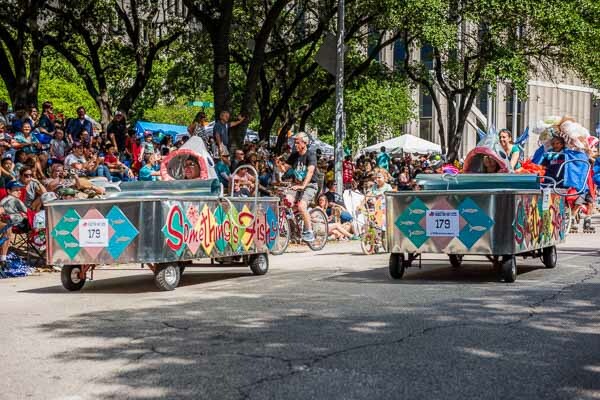 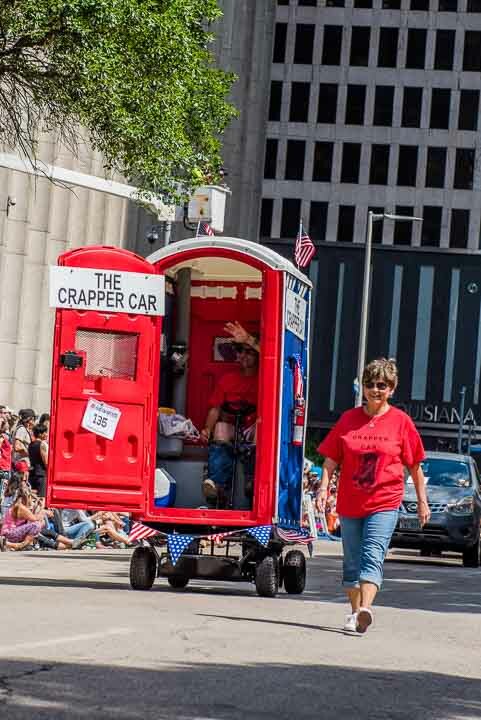 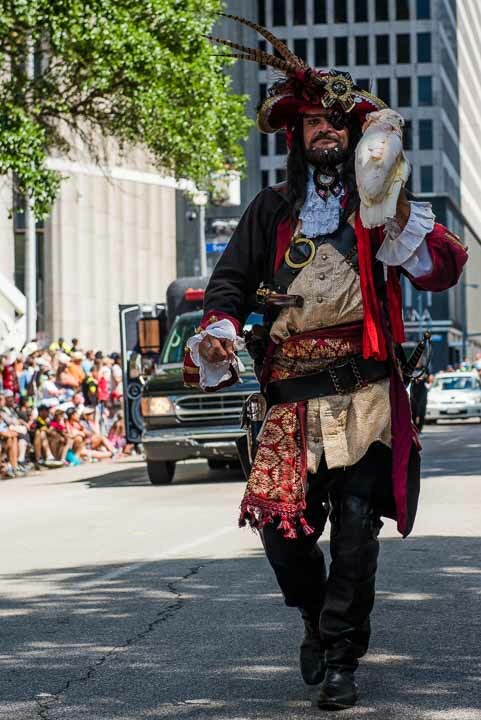 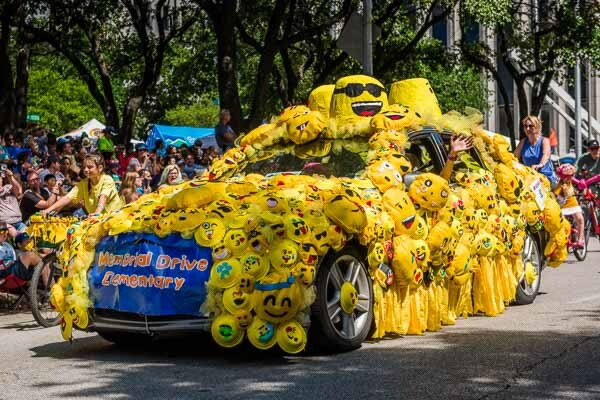 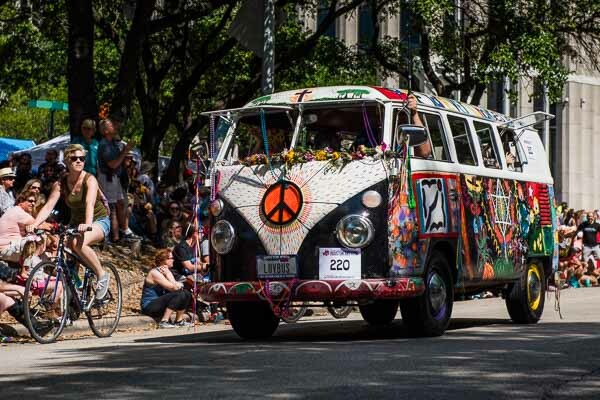 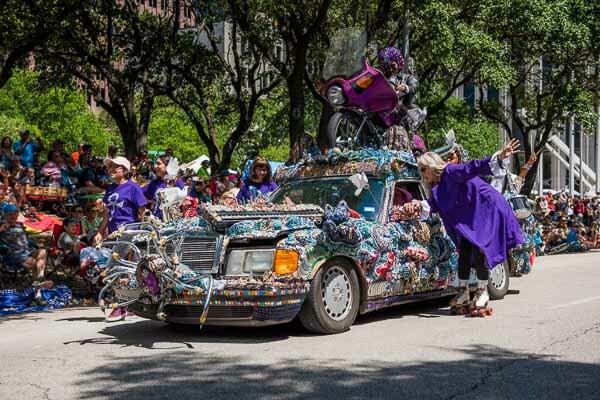 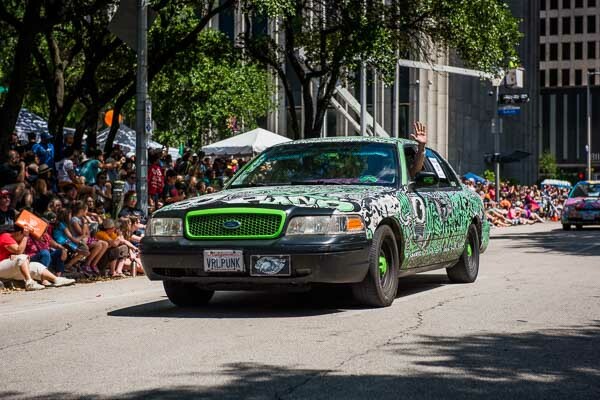 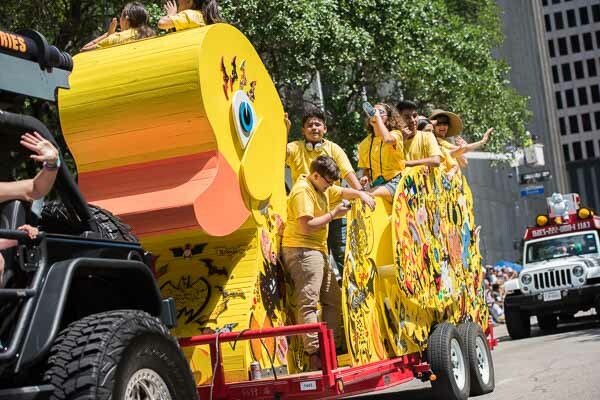 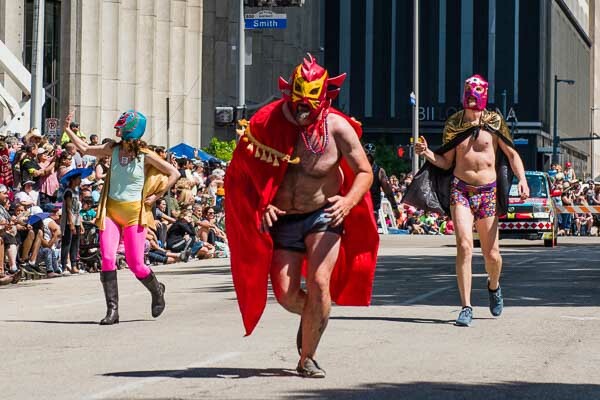 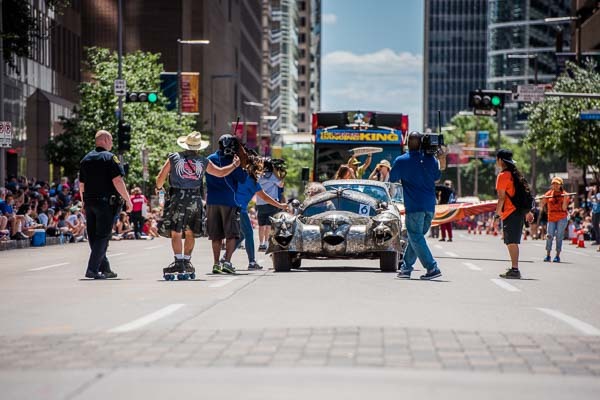 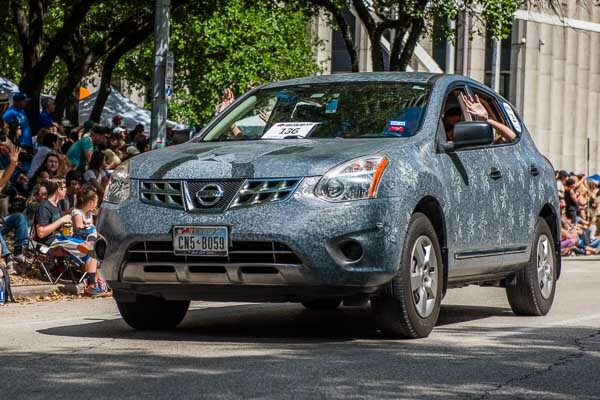 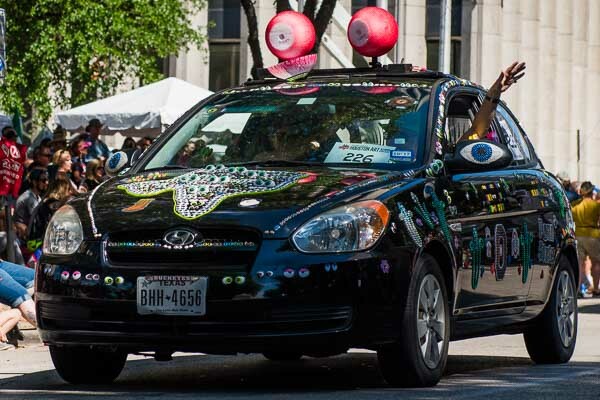 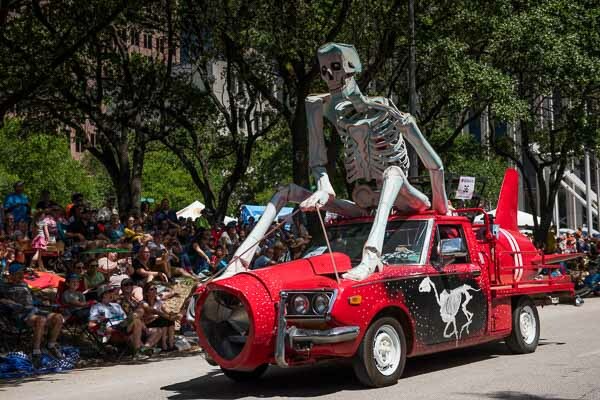 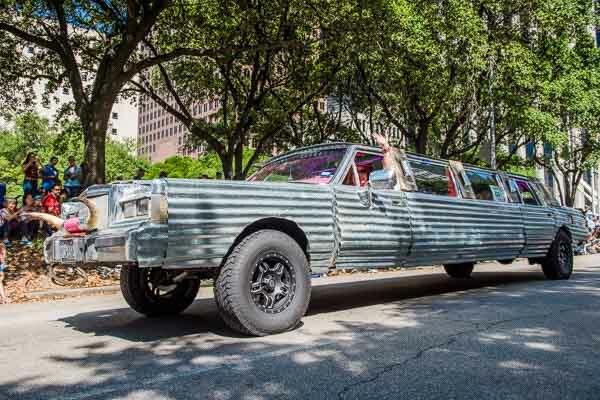 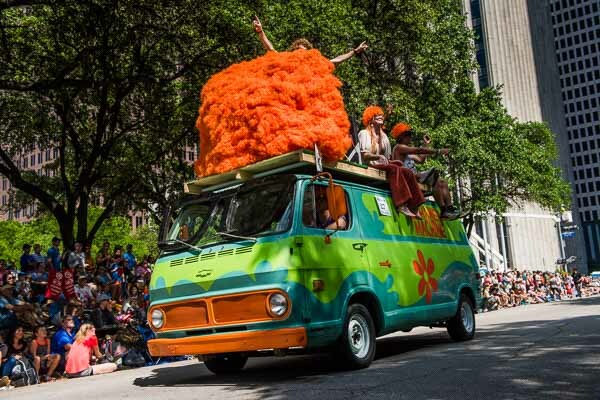 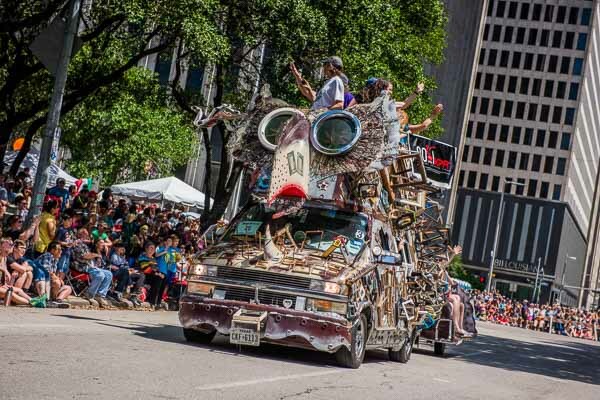 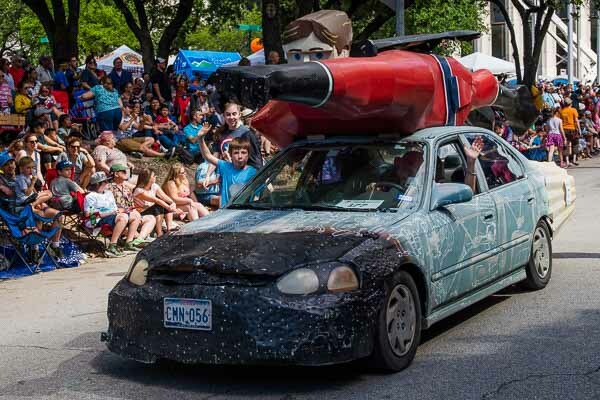 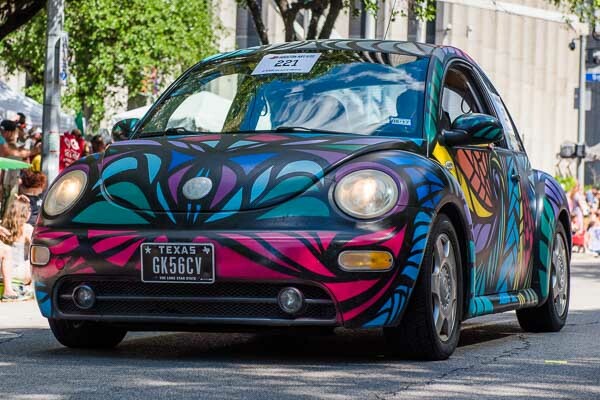 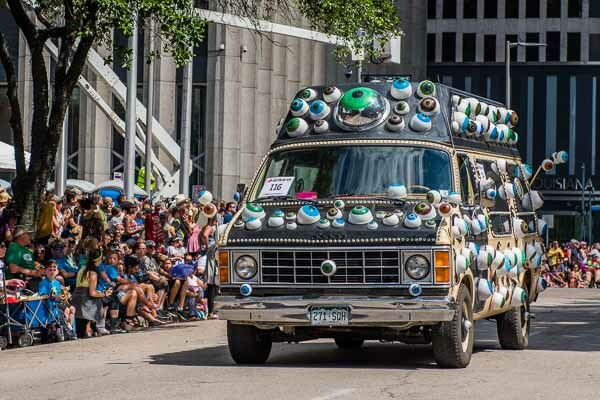 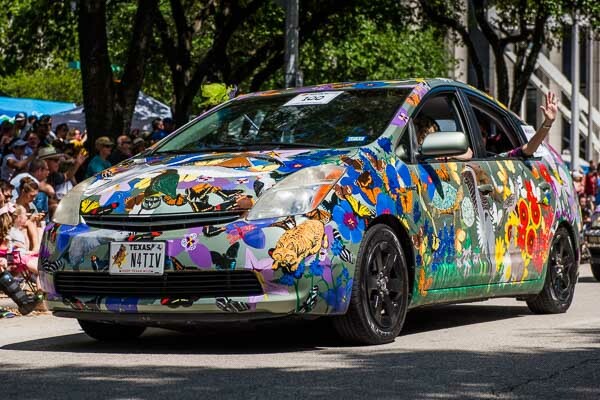 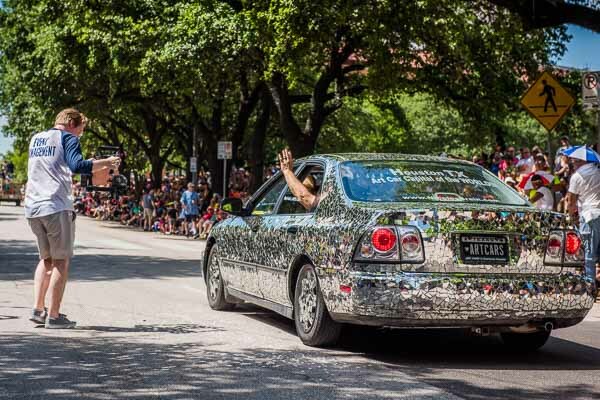 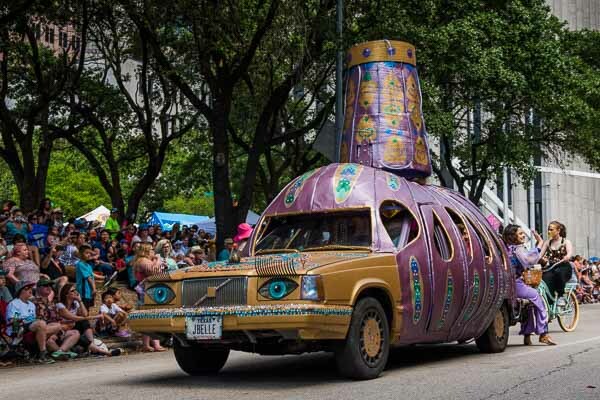 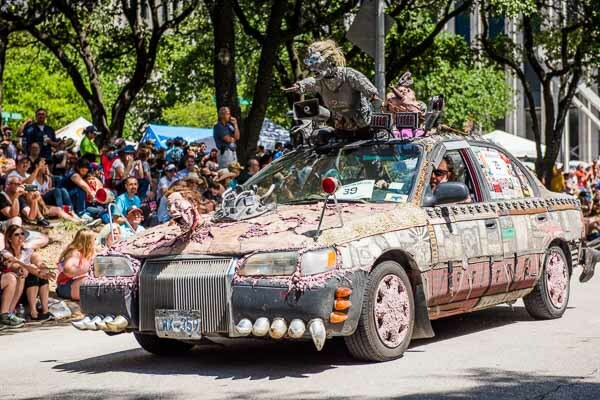 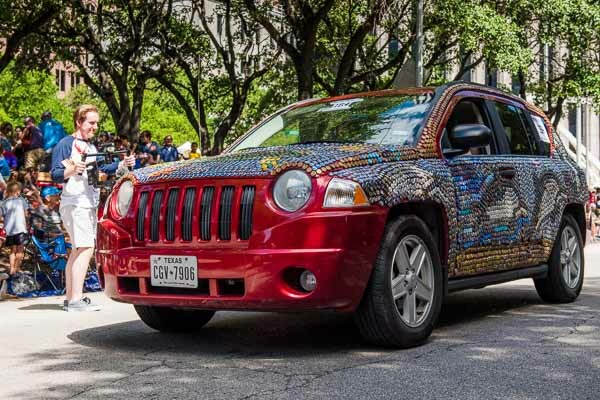 Take a look back at the coolest moments from the 30th annual Houston Art Car Parade. 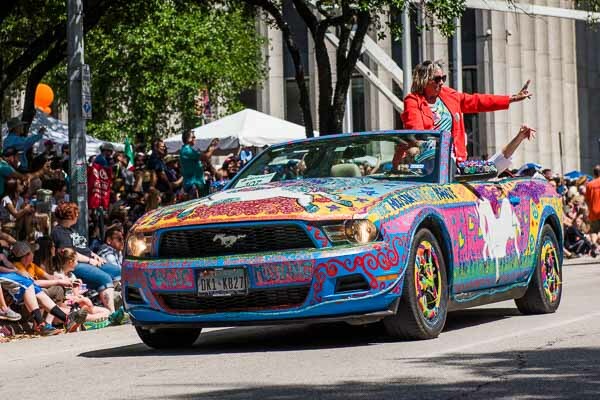 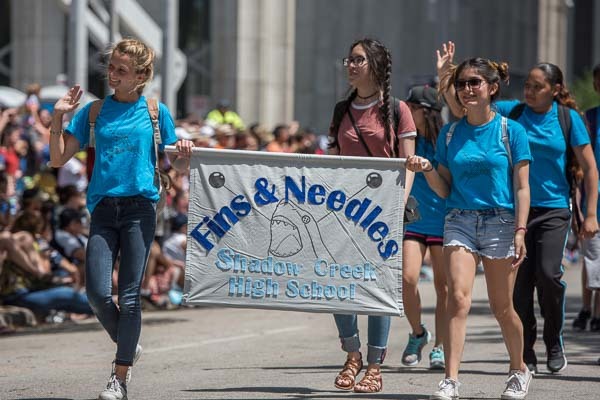 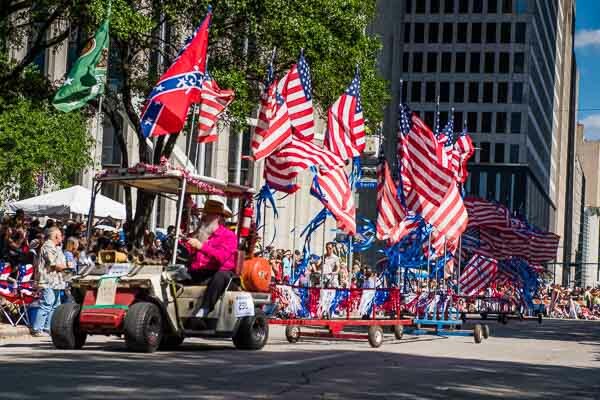 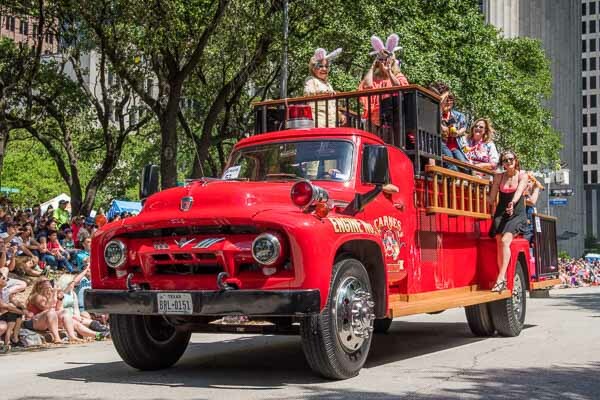 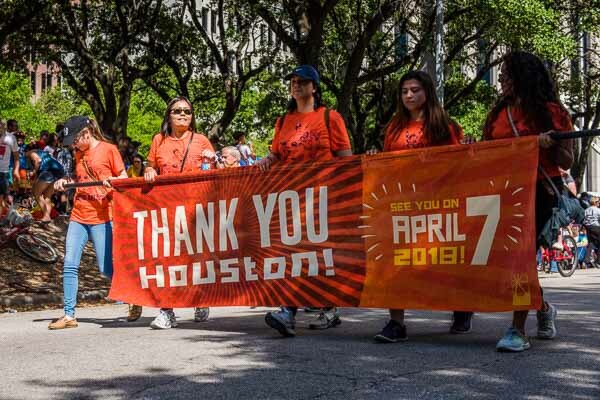 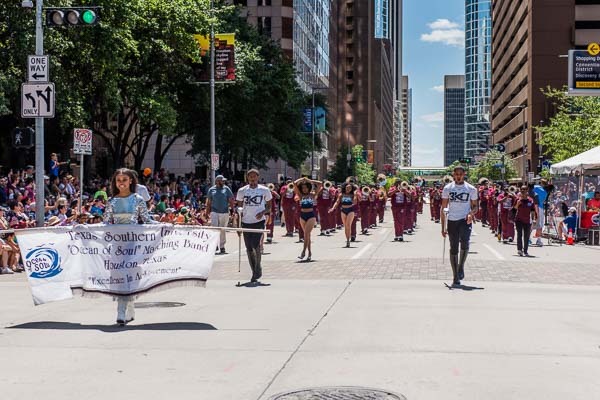 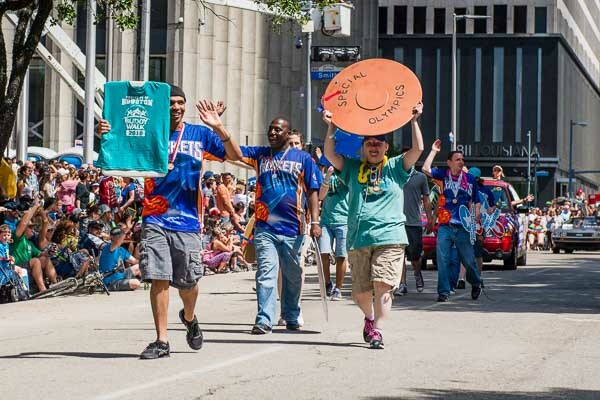 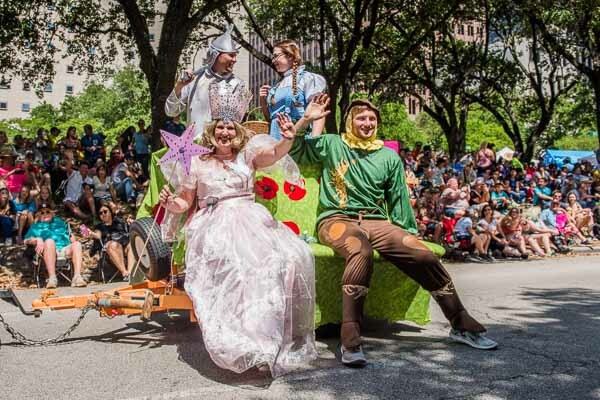 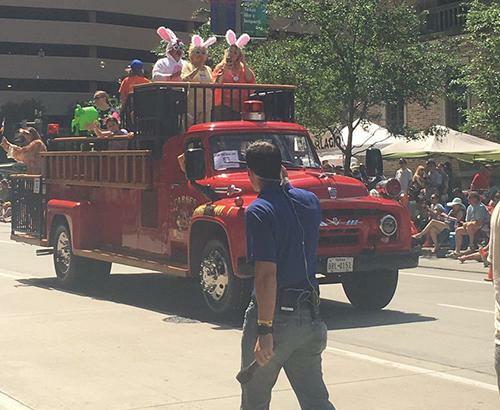 On April 22, ABC13 will broadcast a one-hour special showcasing everything the parade has to offer. 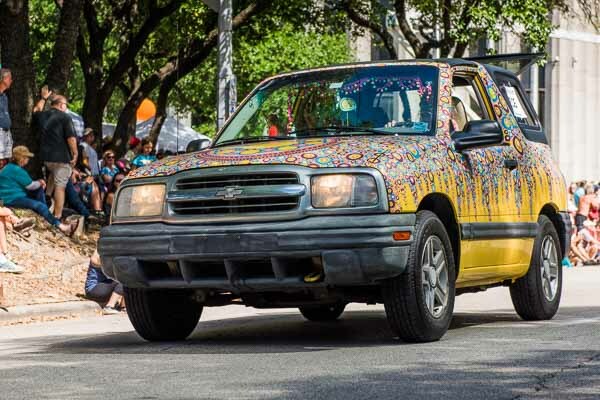 The art car fun began with a donated 1967 Ford station wagon and $800 worth of paint and plastic fruit. 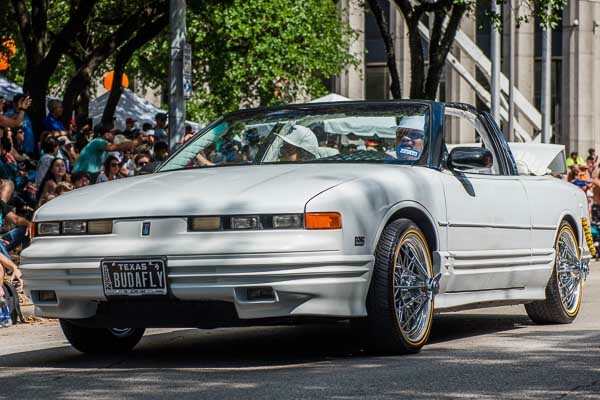 Now, 30 years later, it attracts more than 250 vehicles from 23 states, Canada and Mexico.